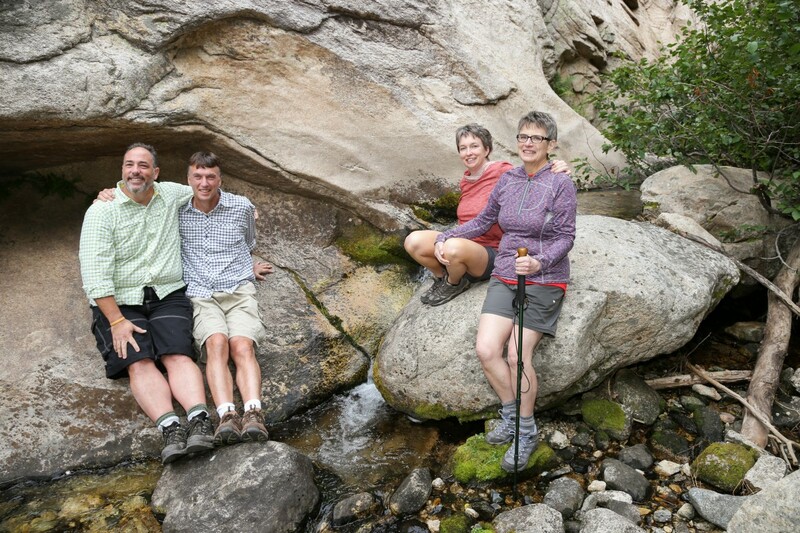 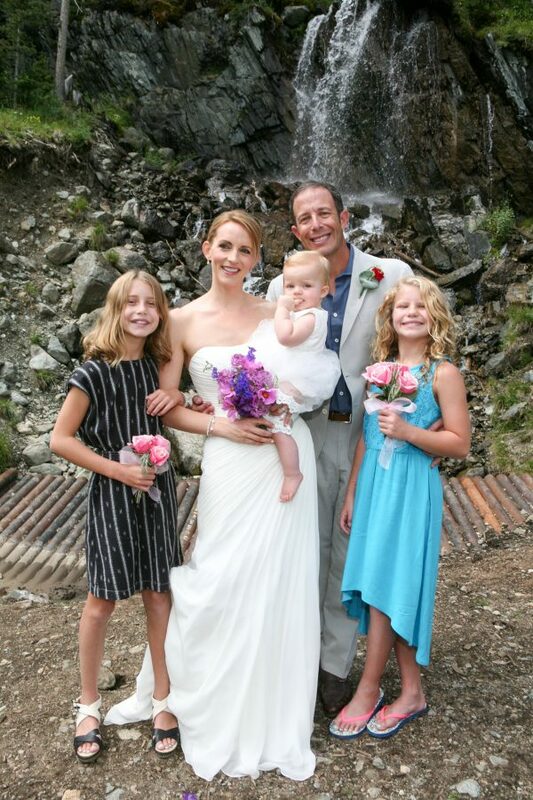 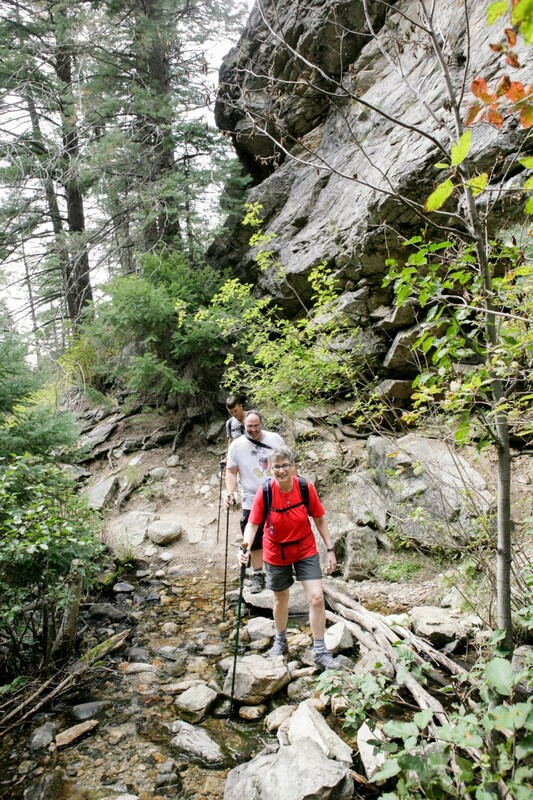 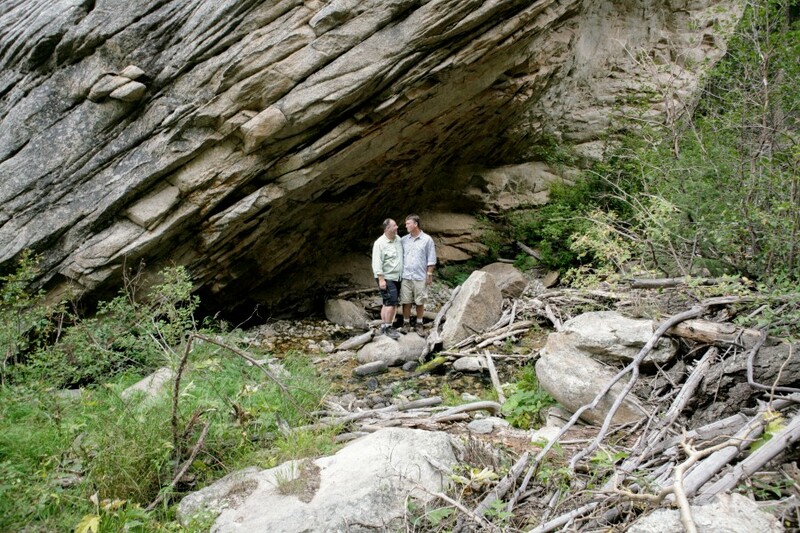 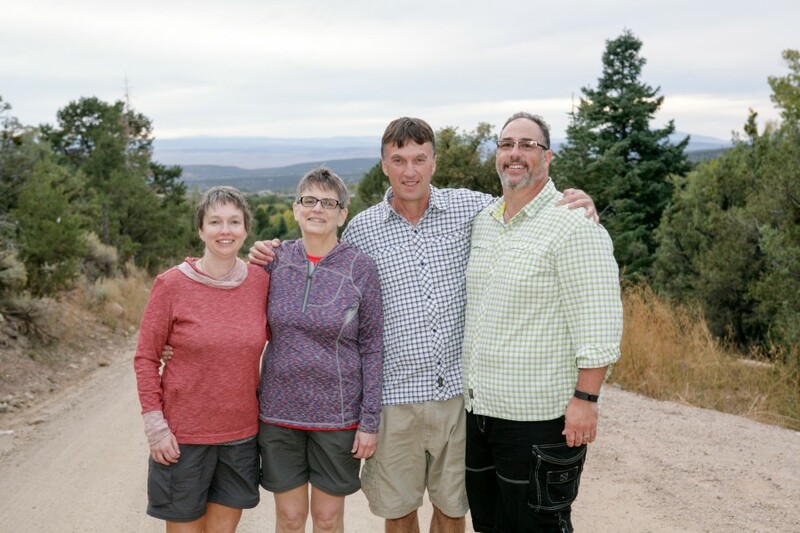 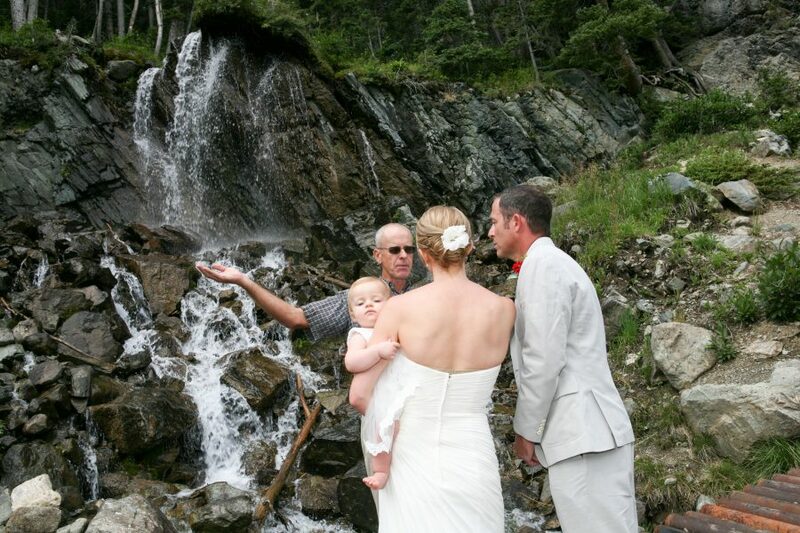 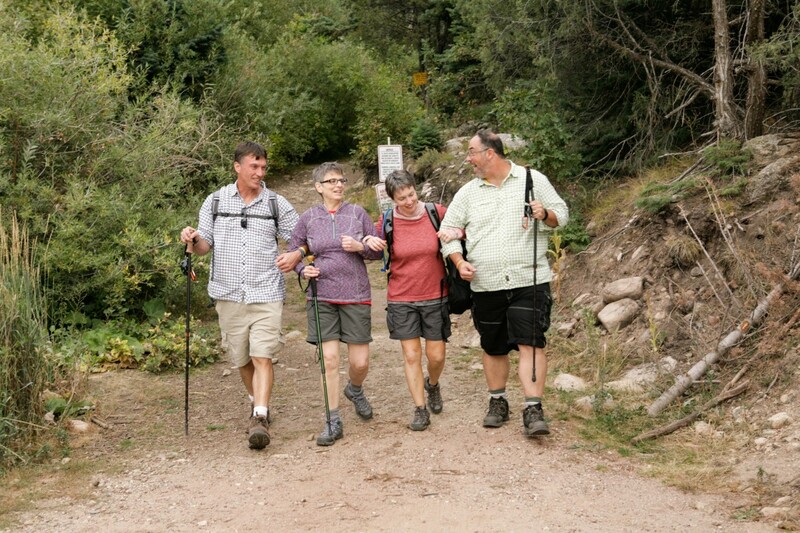 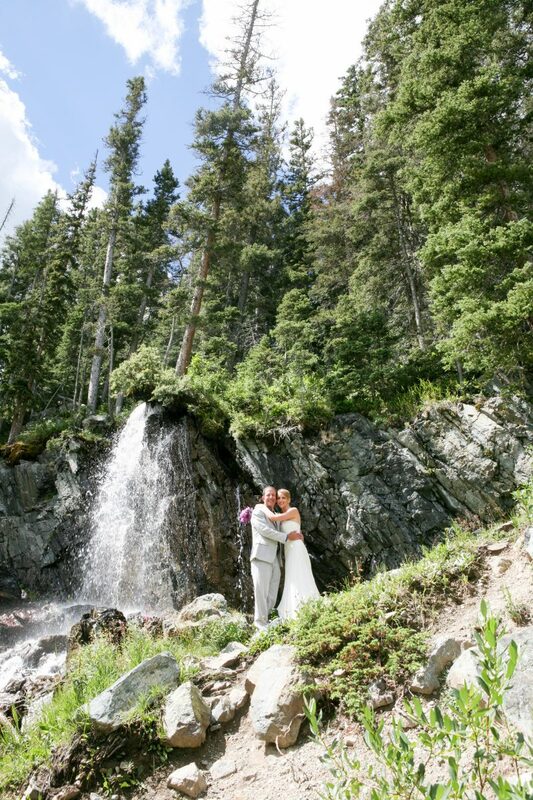 This awesome family came from Texas to hike up the Taos Ski Valley mountain to have this fabulous waterfall as the backdrop to their wedding ceremony. It was a gorgeous morning for a destination wedding. 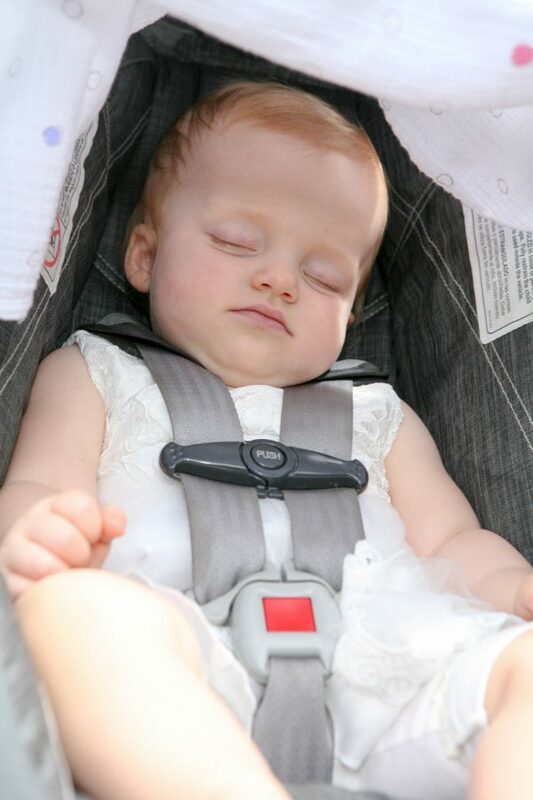 The delightful baby-daughter of the bride and groom slept in her car seat during the hike and woke up just as the ceremony started. 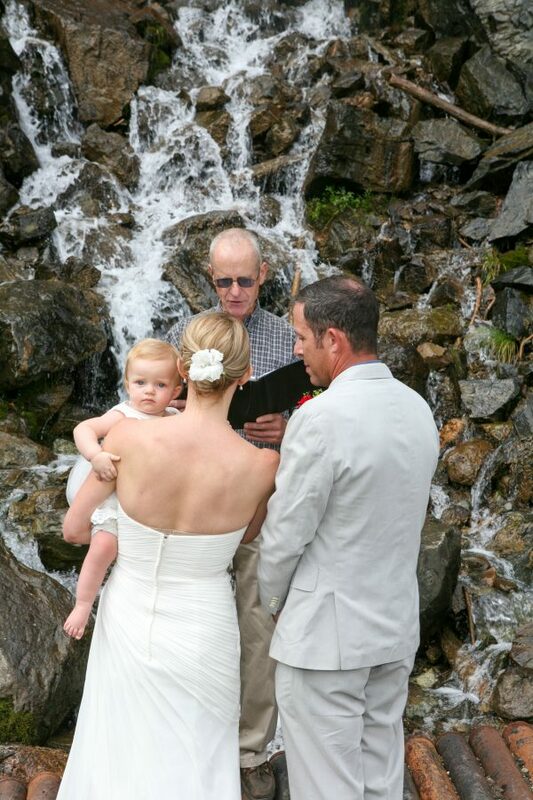 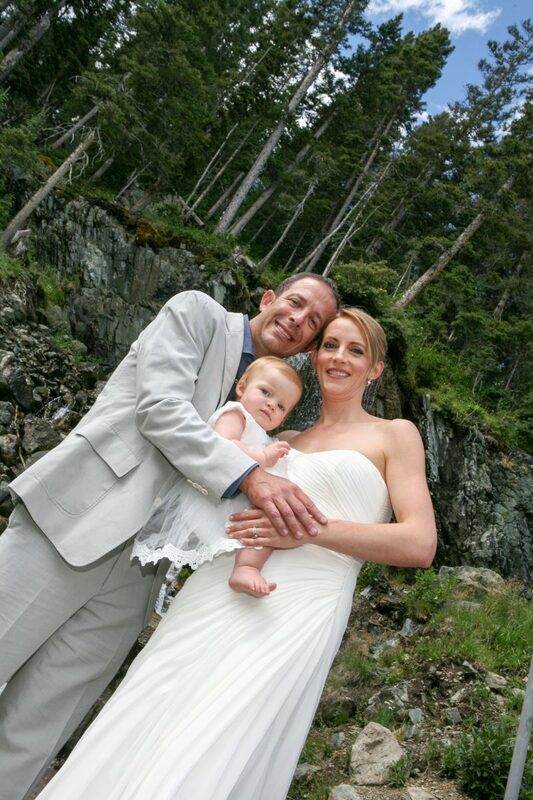 This bride and groom were so relaxed and continued the ceremony with mom holding her daughter. 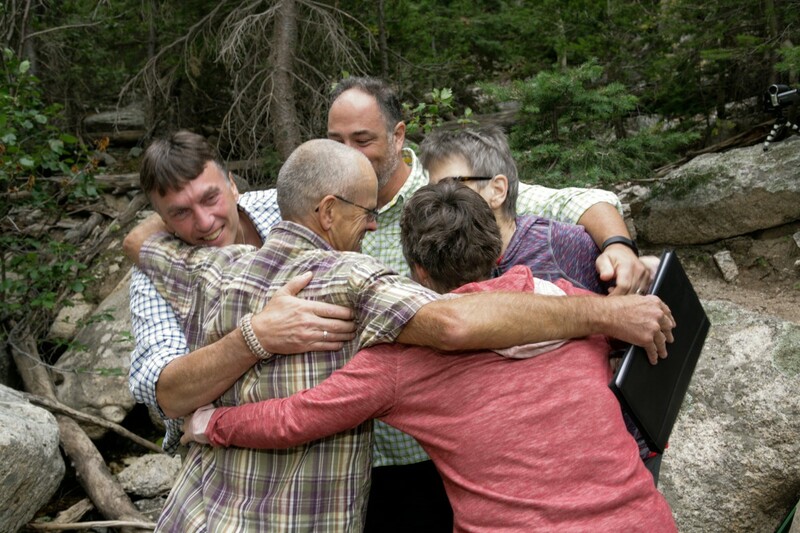 Everyone was happy. 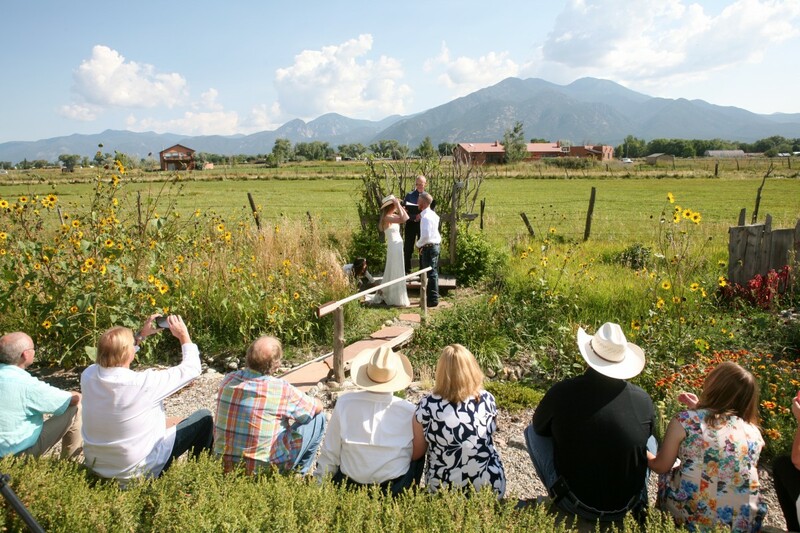 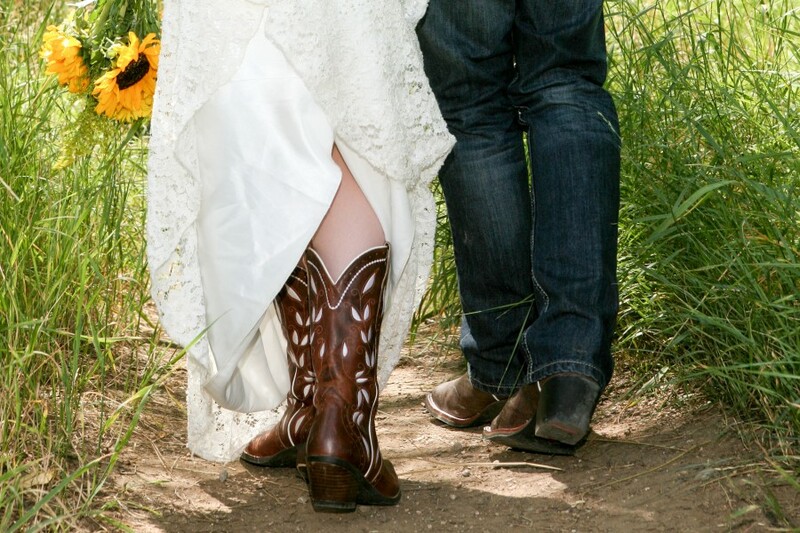 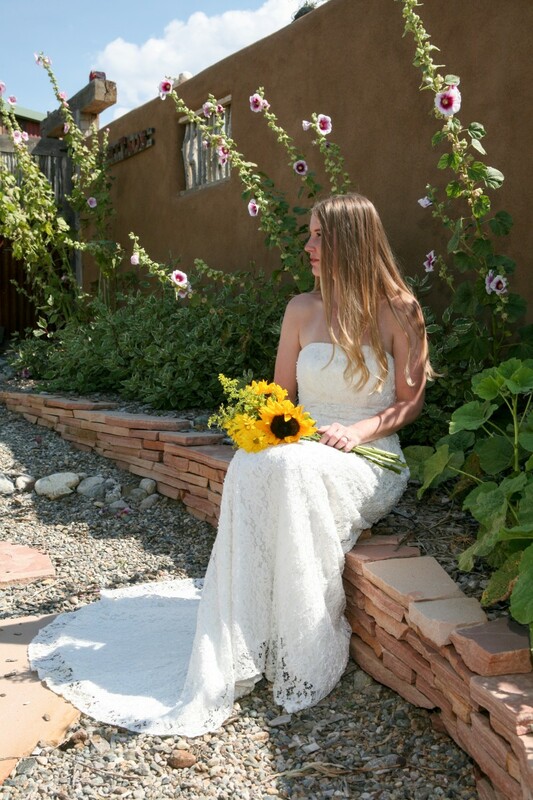 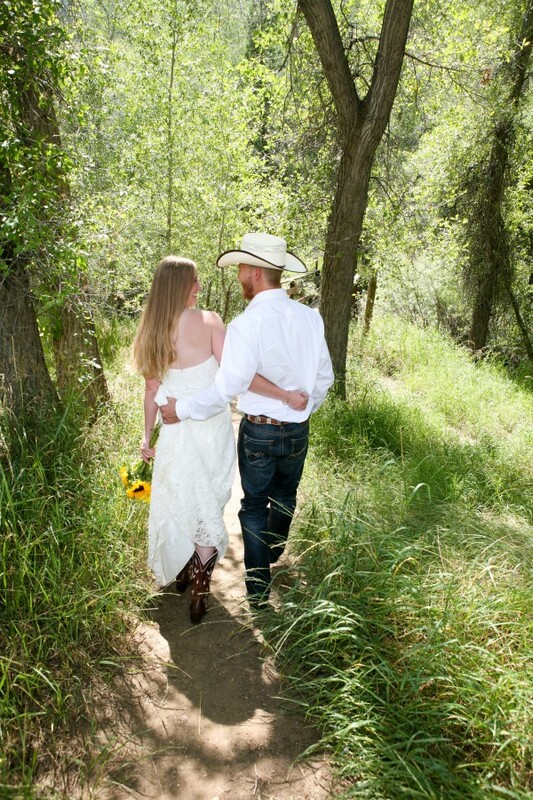 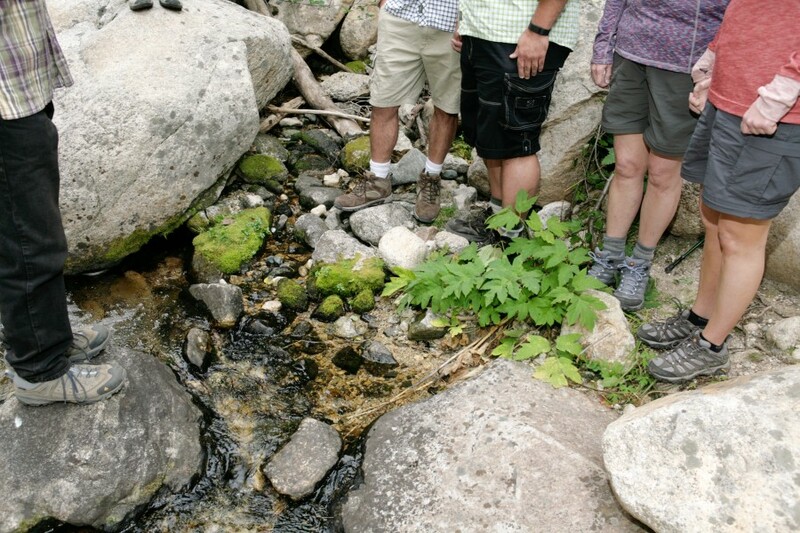 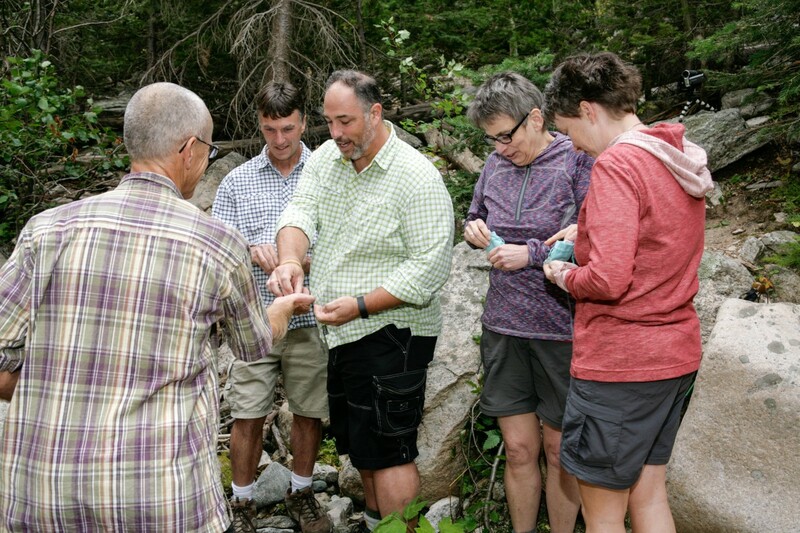 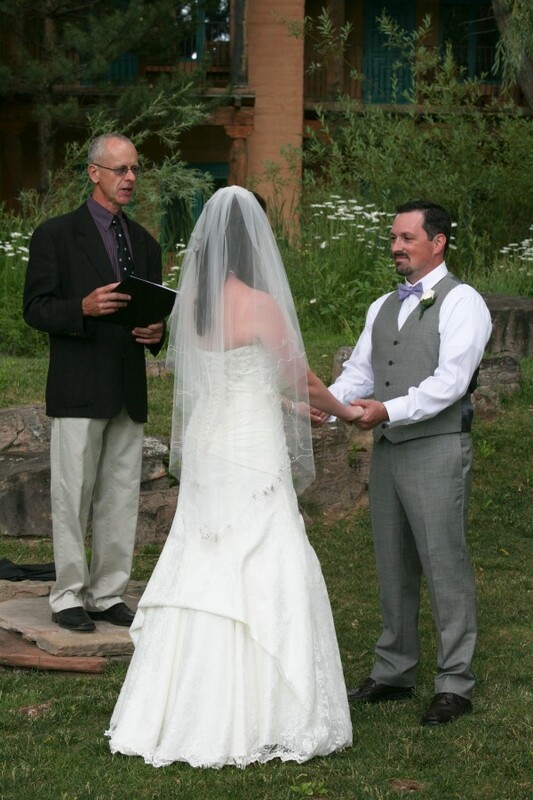 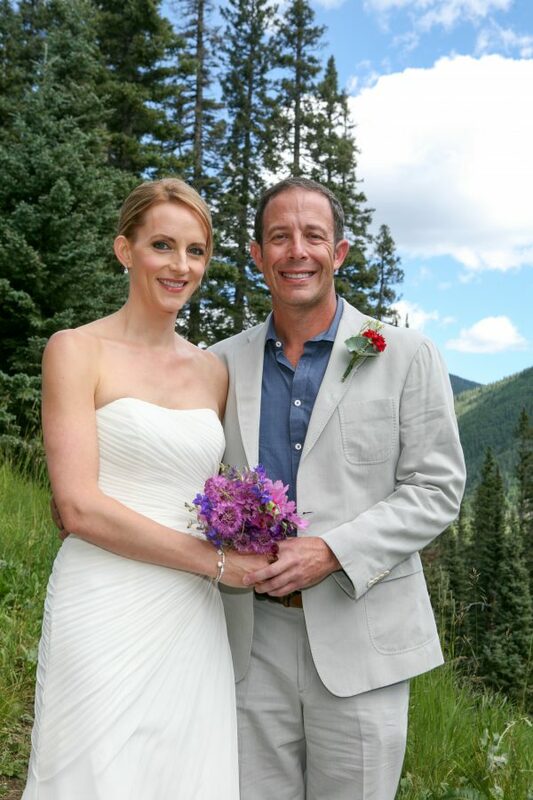 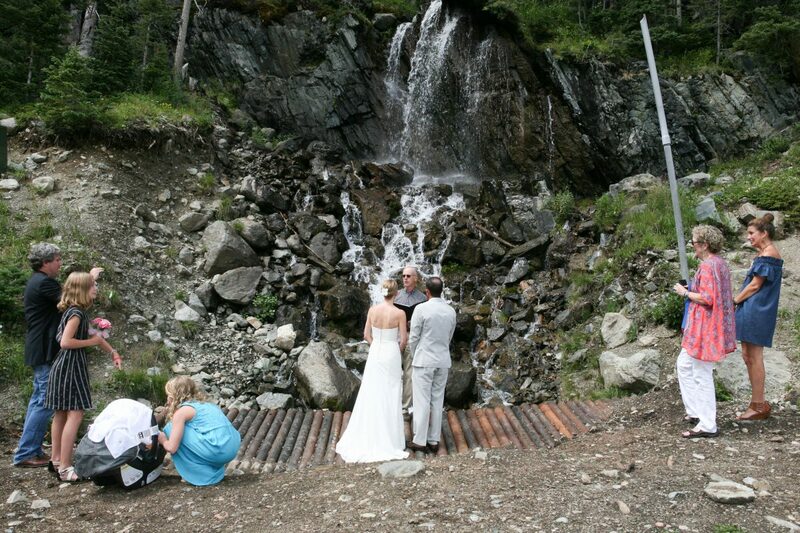 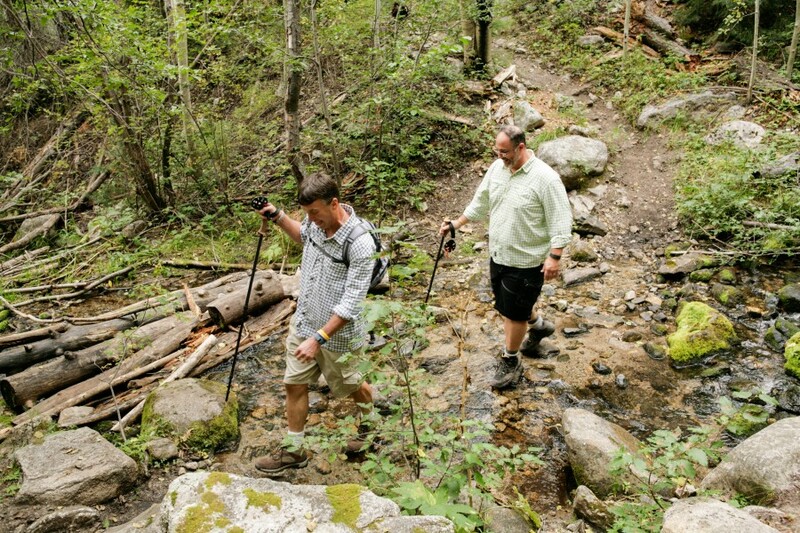 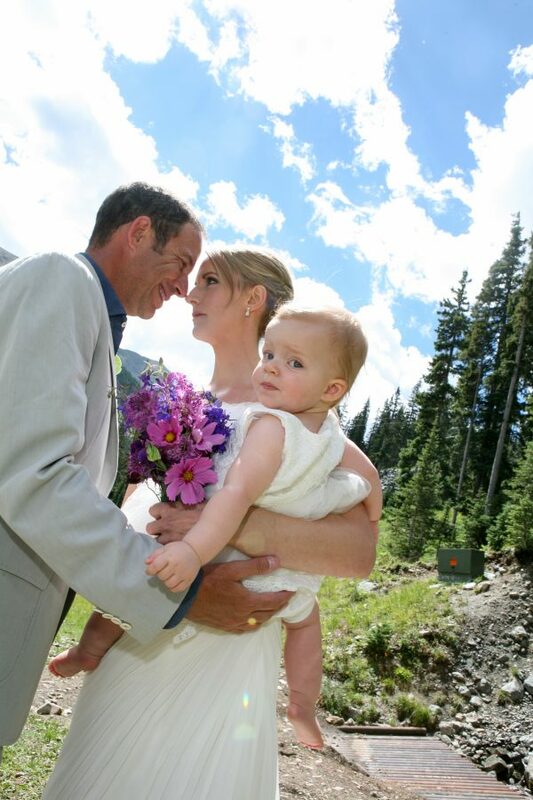 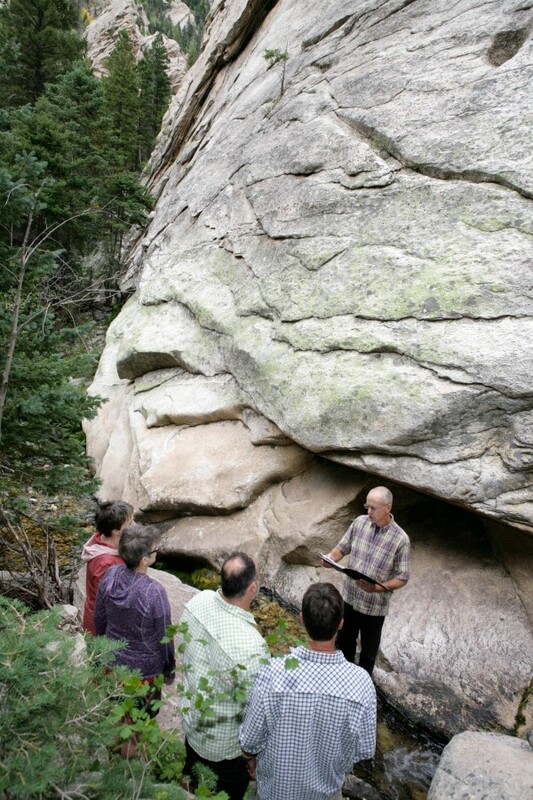 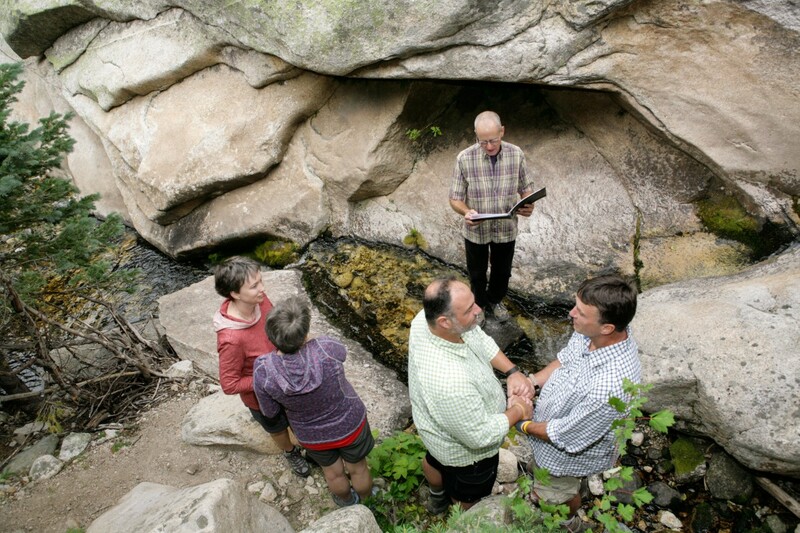 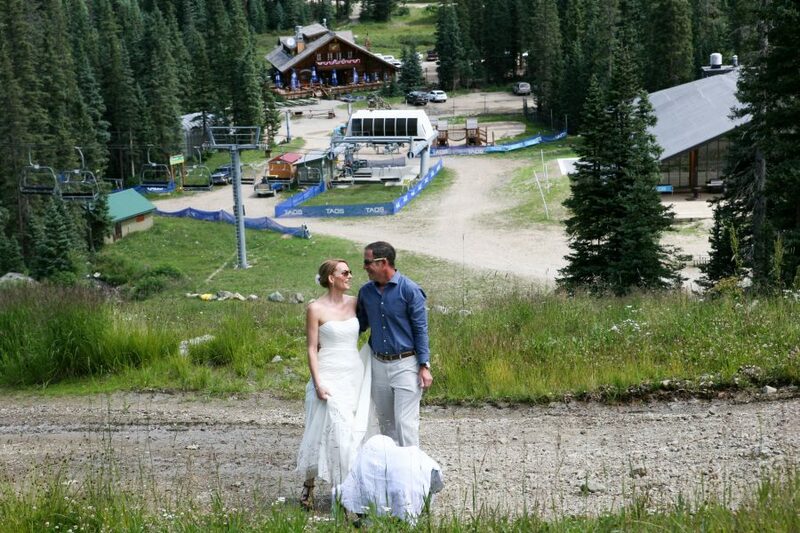 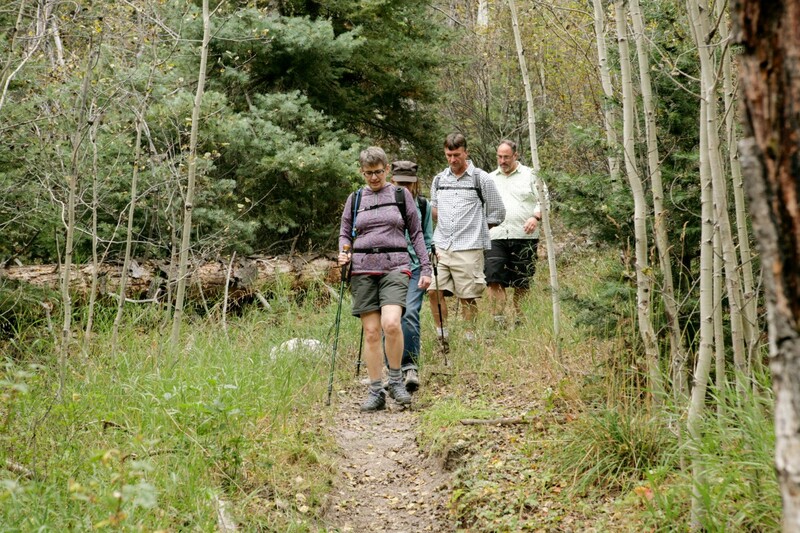 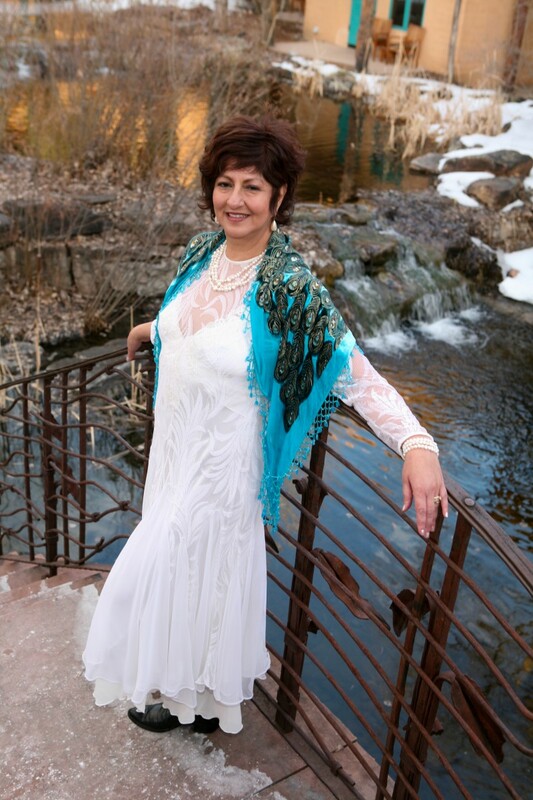 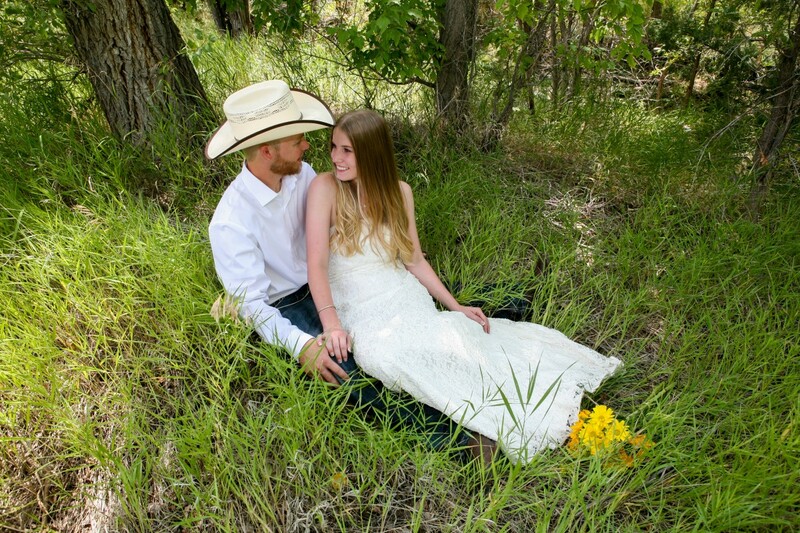 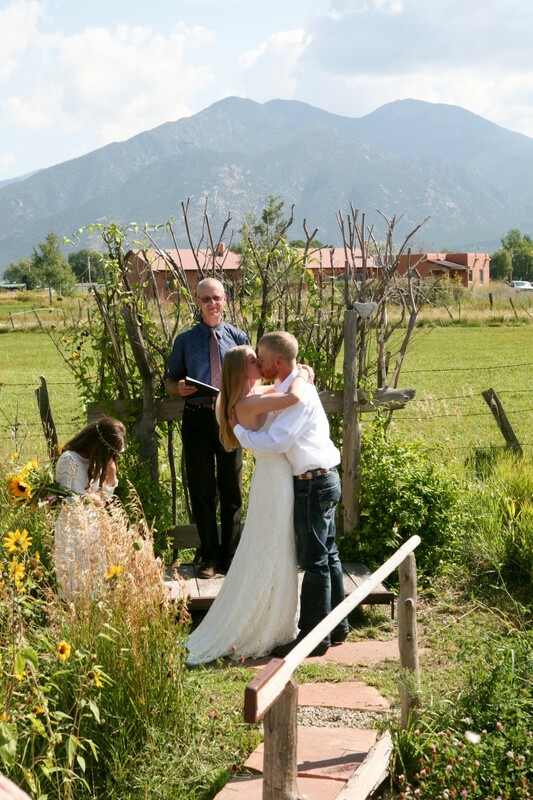 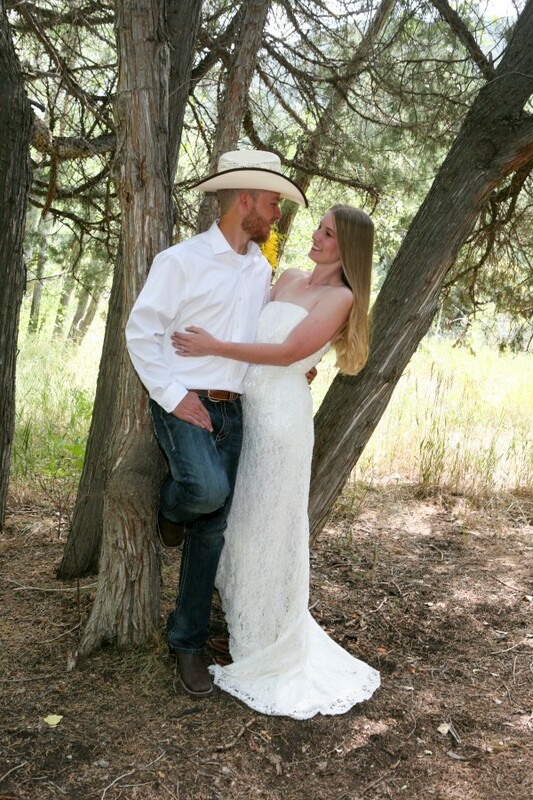 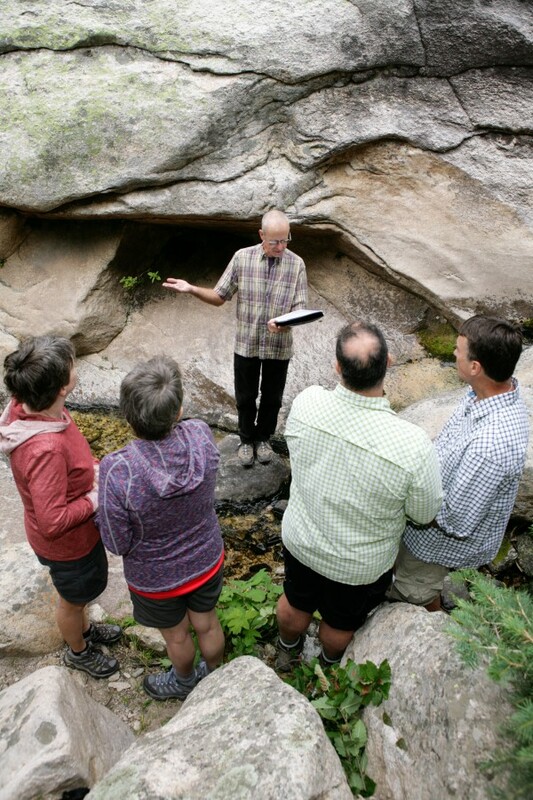 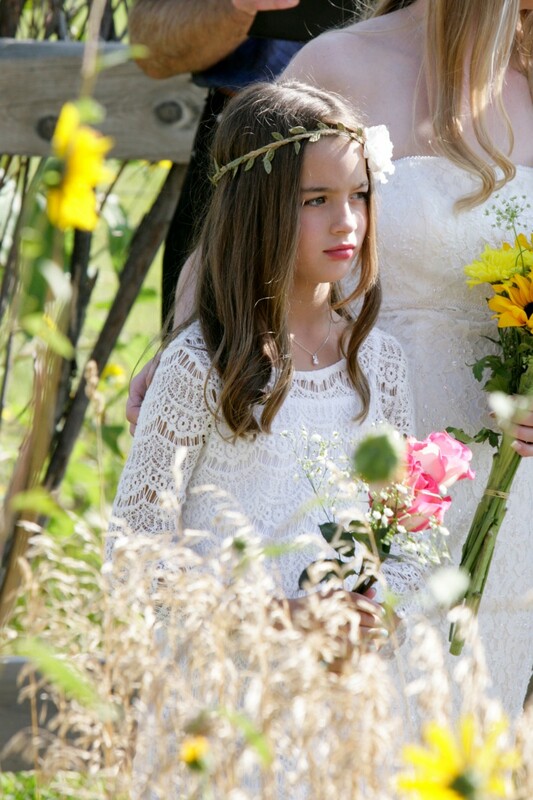 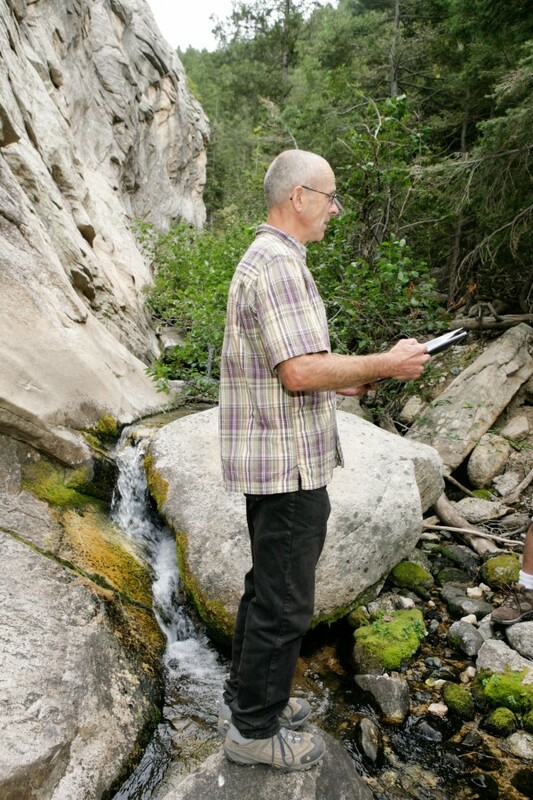 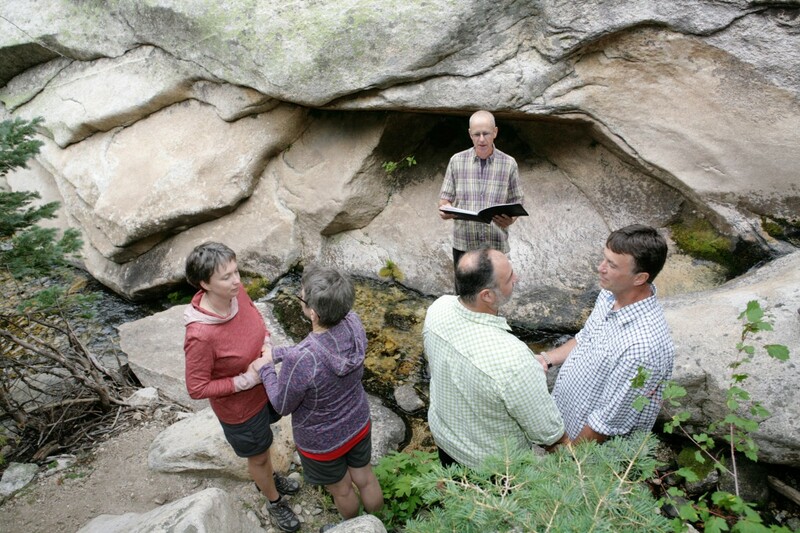 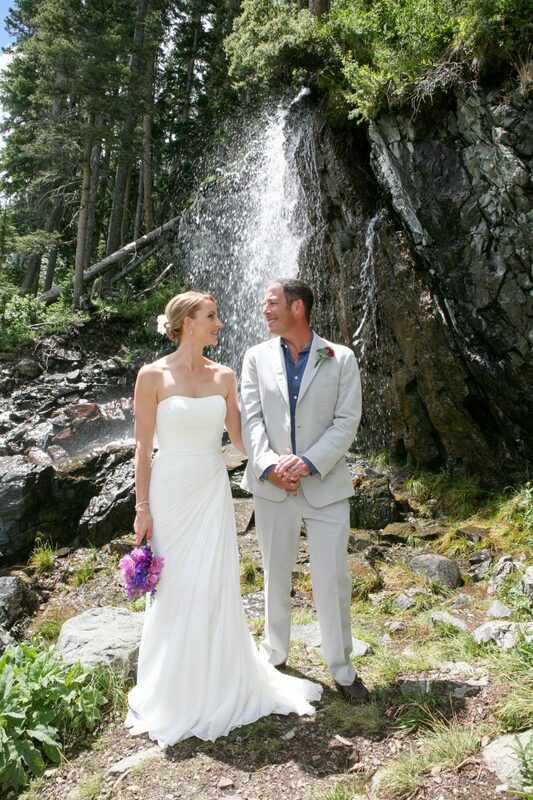 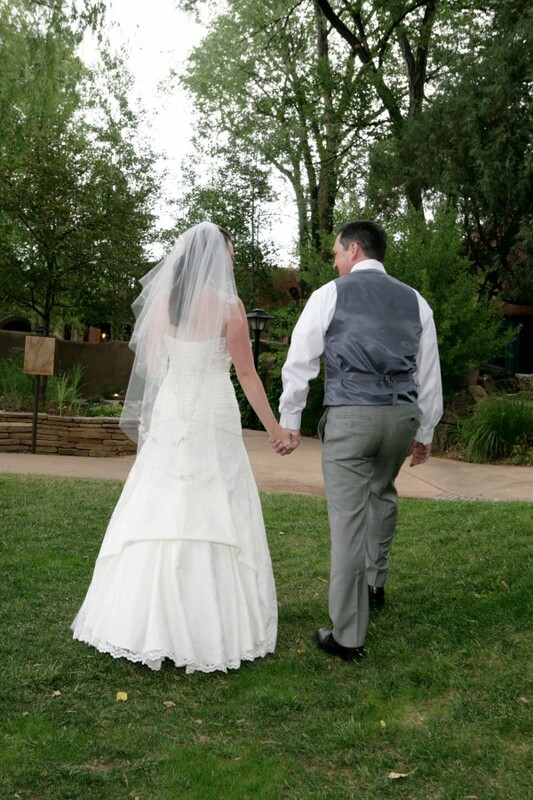 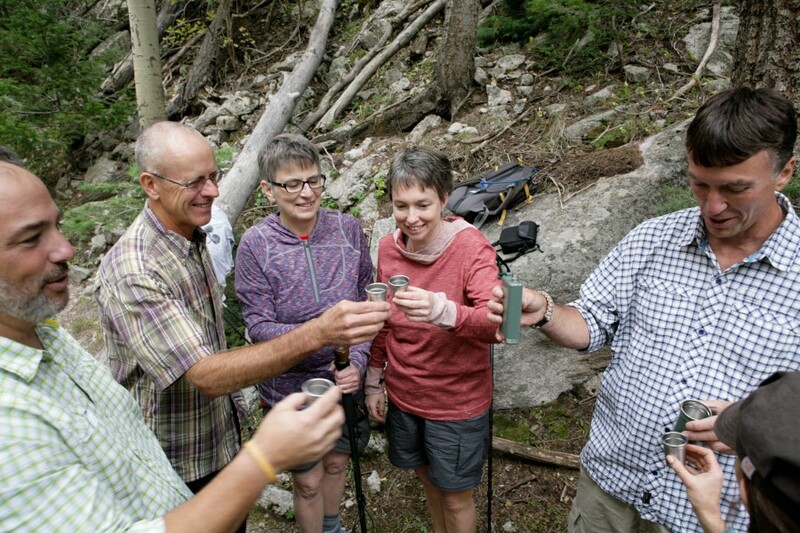 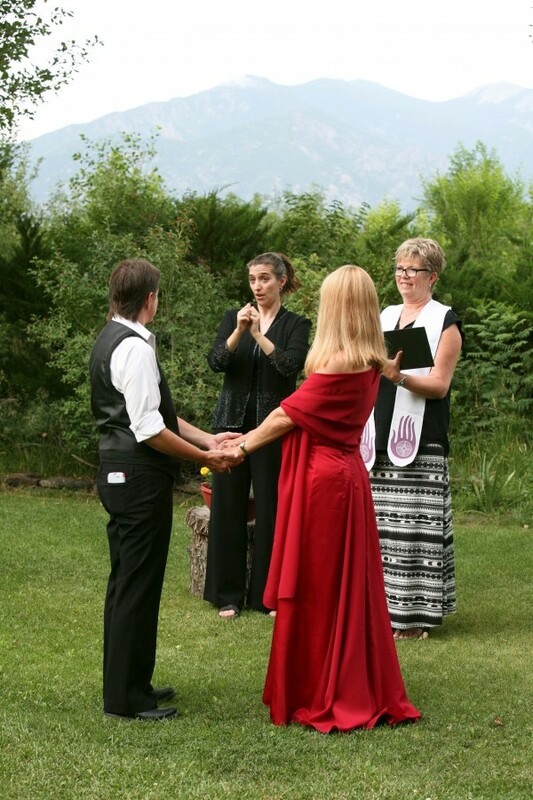 The Taos Ski Valley is a beautiful place for a wedding ceremony in the summer as well as the winter. 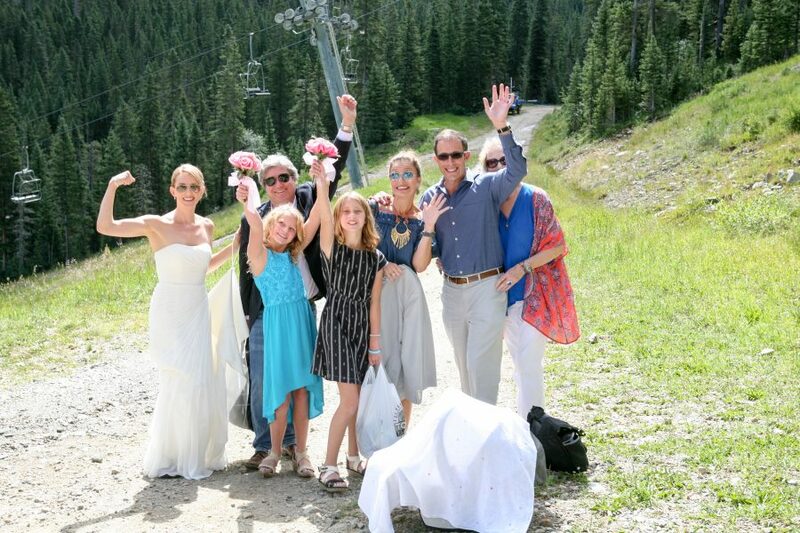 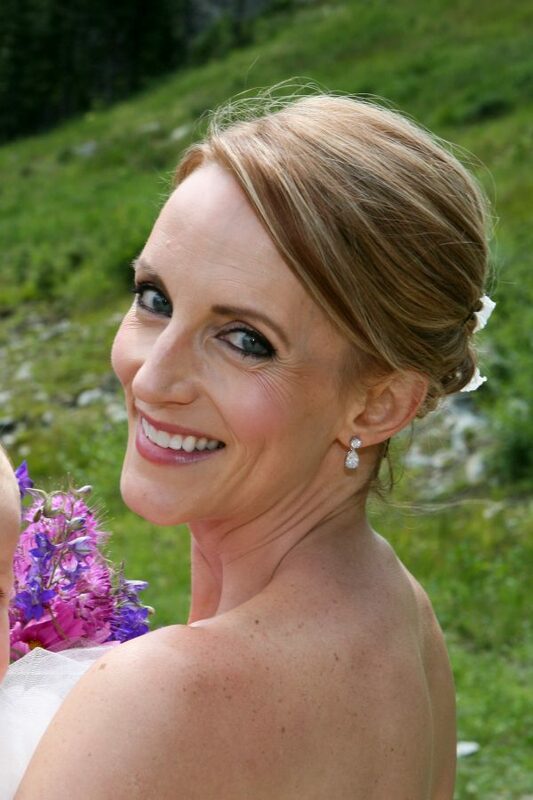 This super fun wedding was followed by a reception afterwards at skiers and locals’ favorite restaurant, The Bavarian. 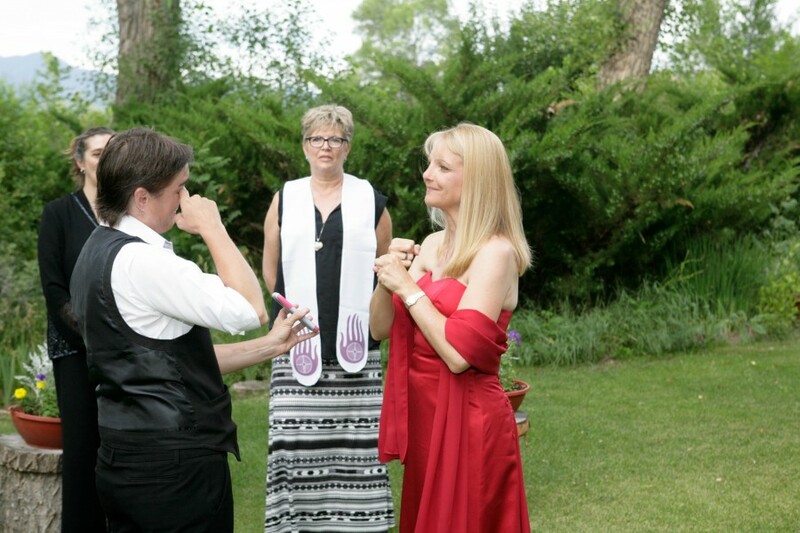 This was the best gay wedding ever! 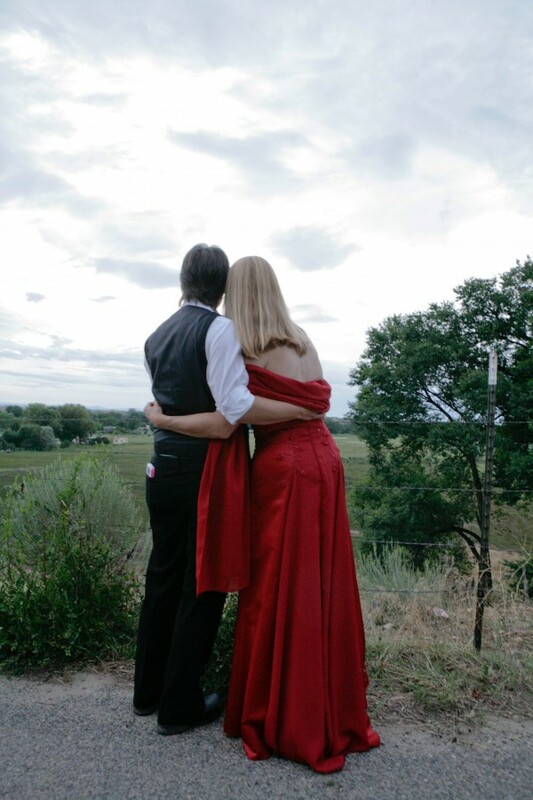 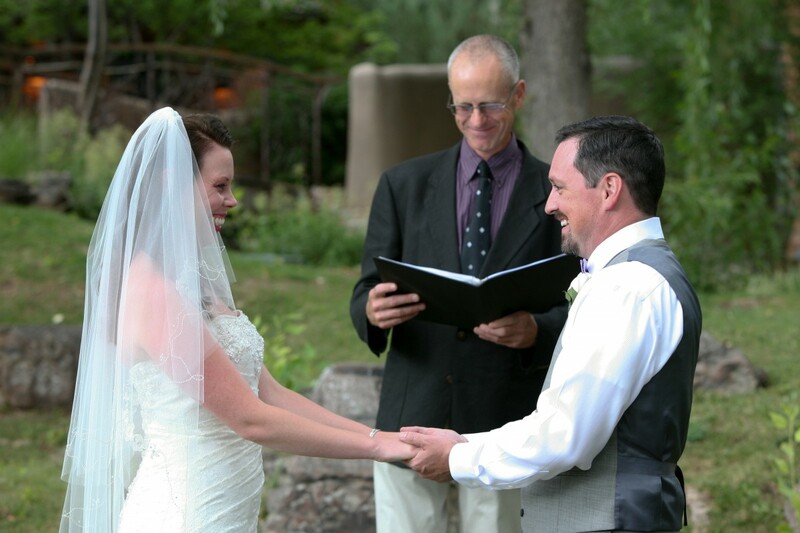 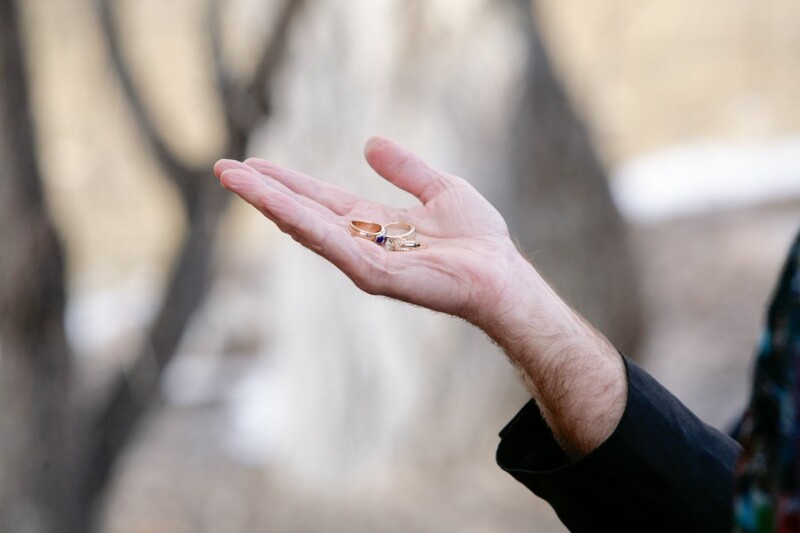 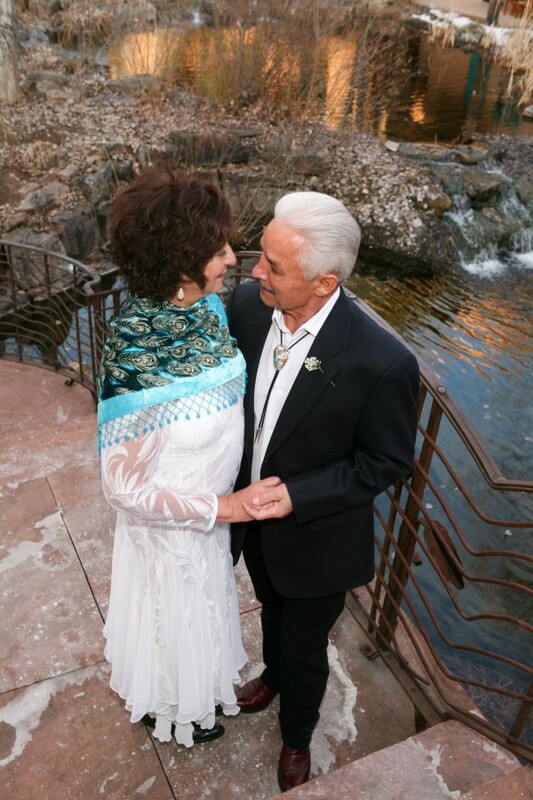 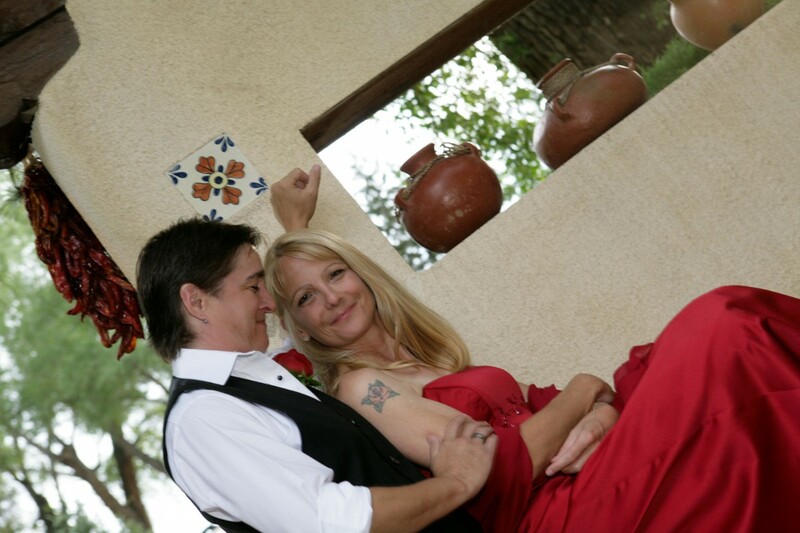 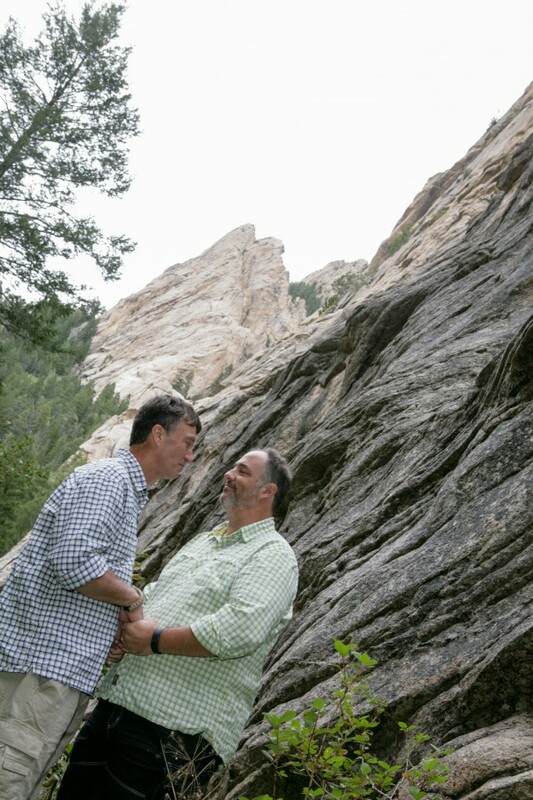 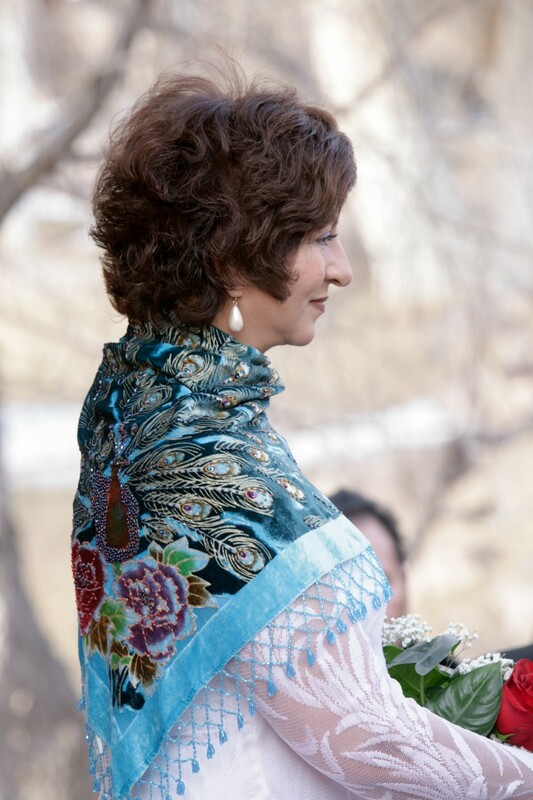 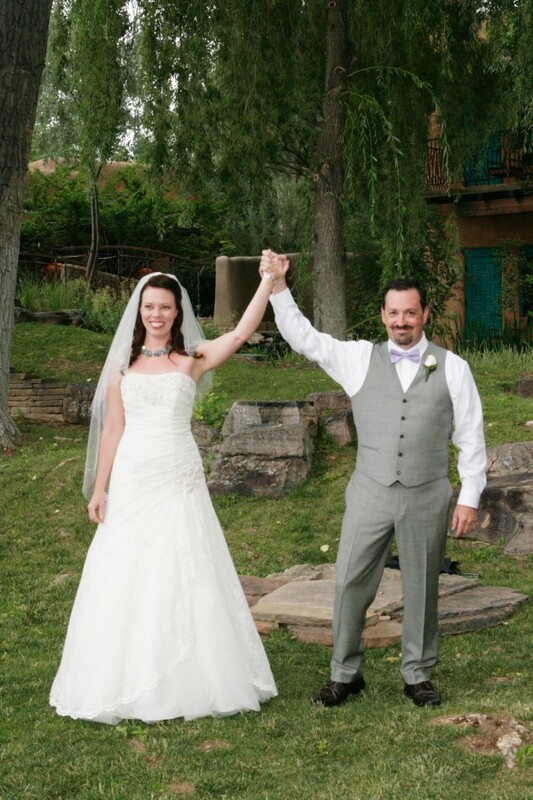 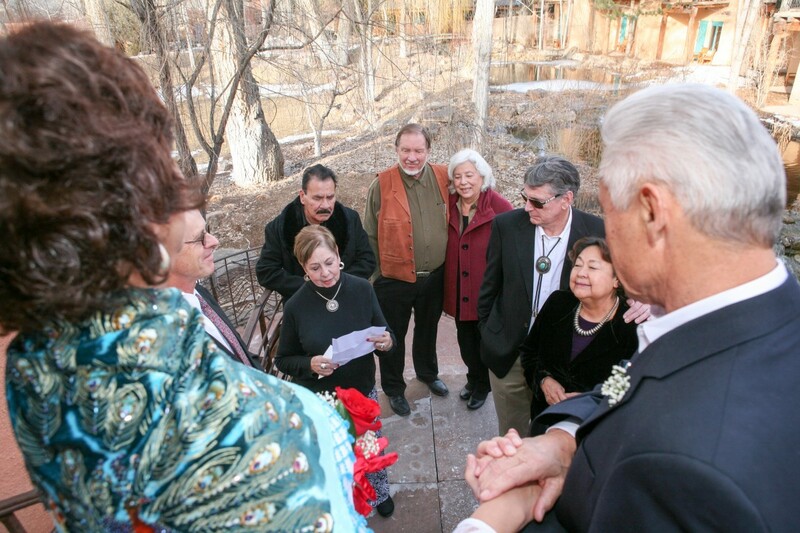 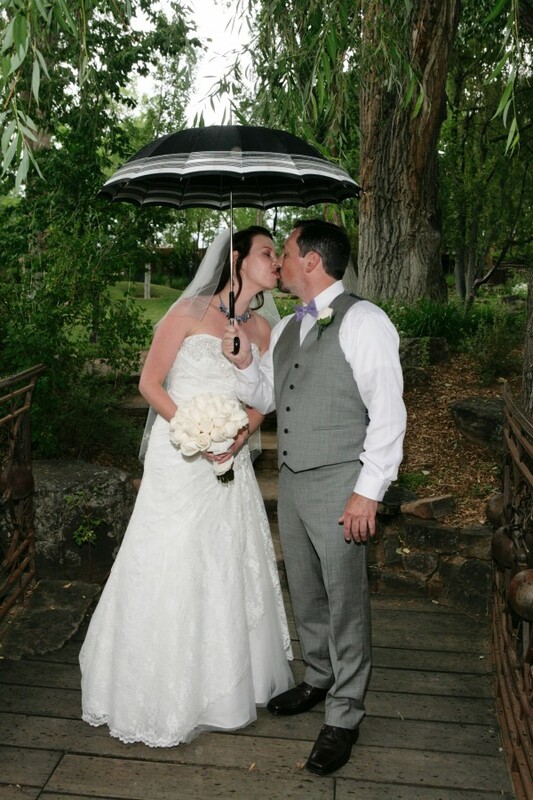 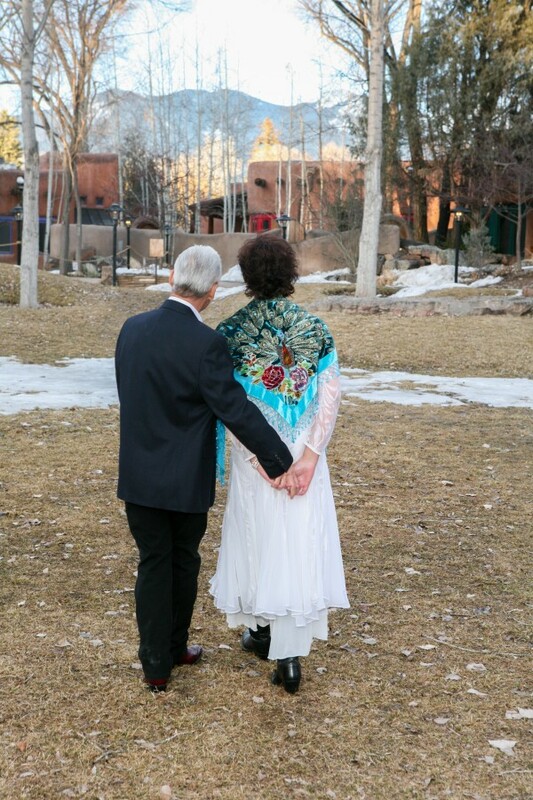 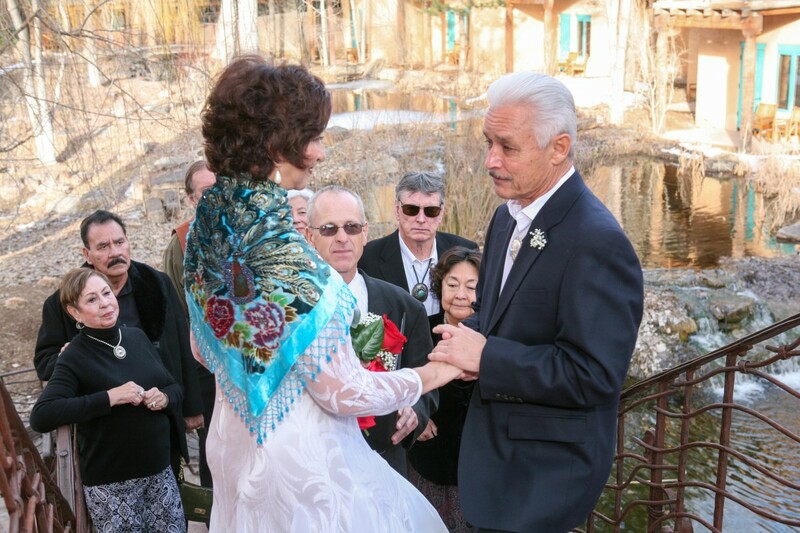 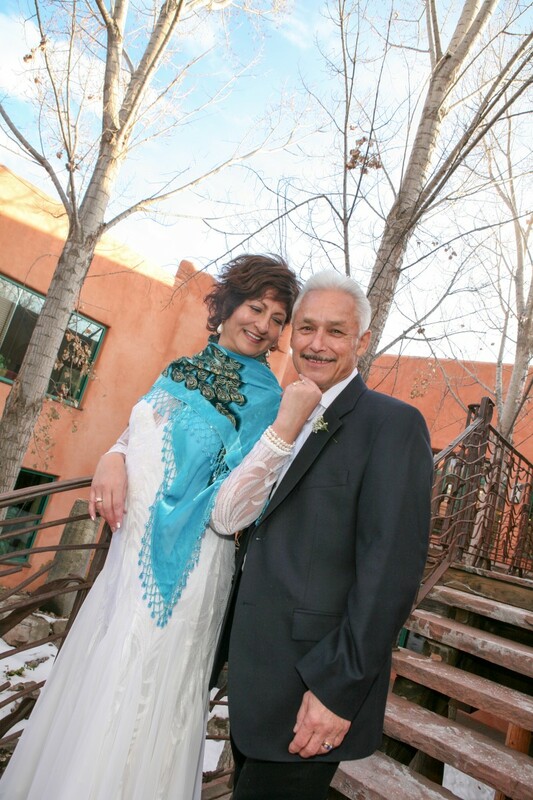 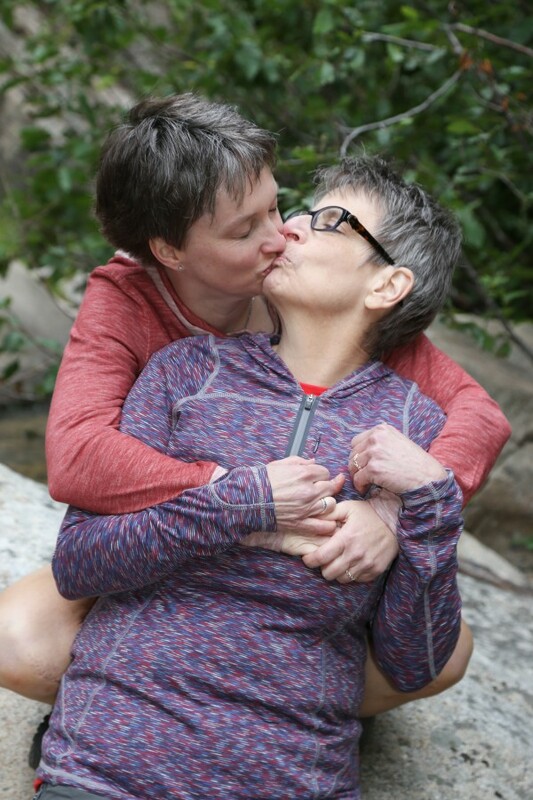 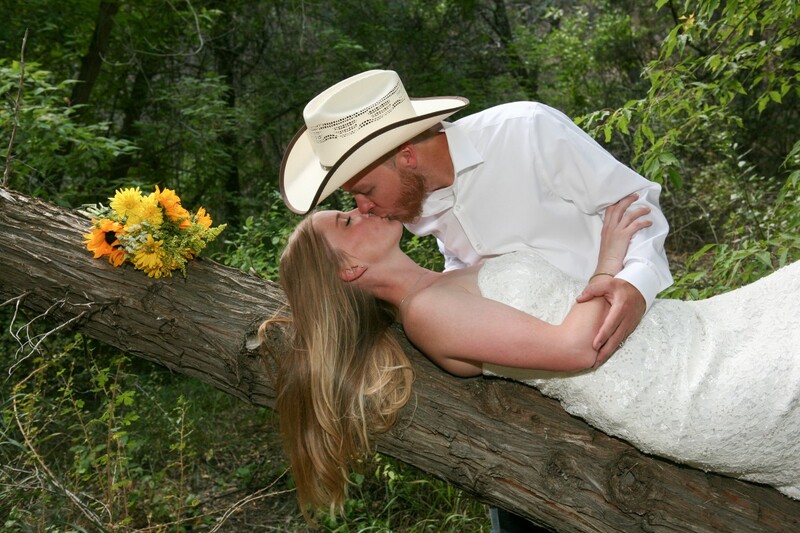 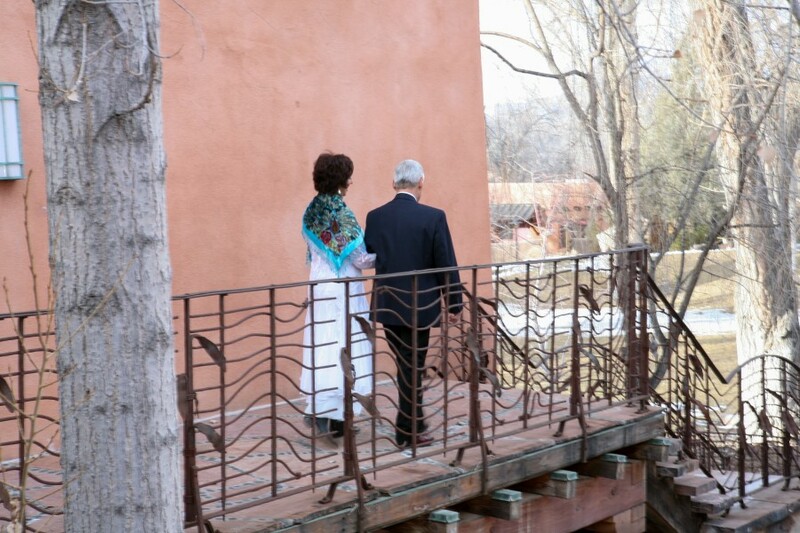 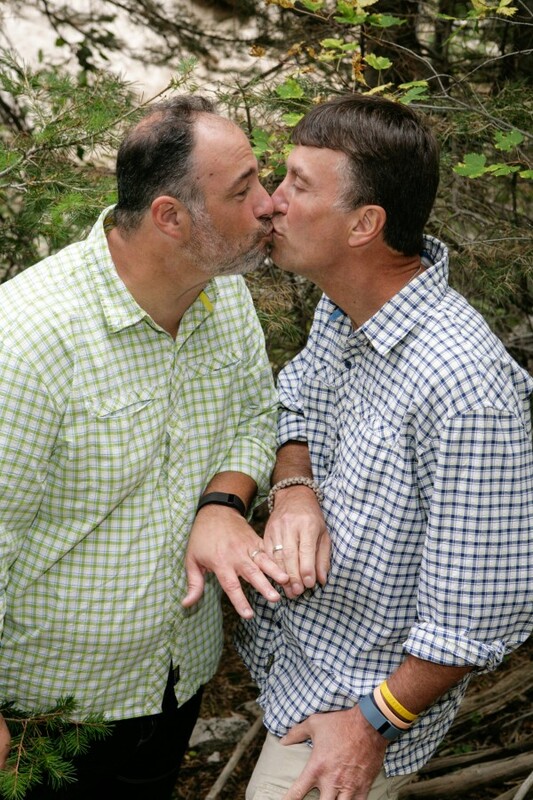 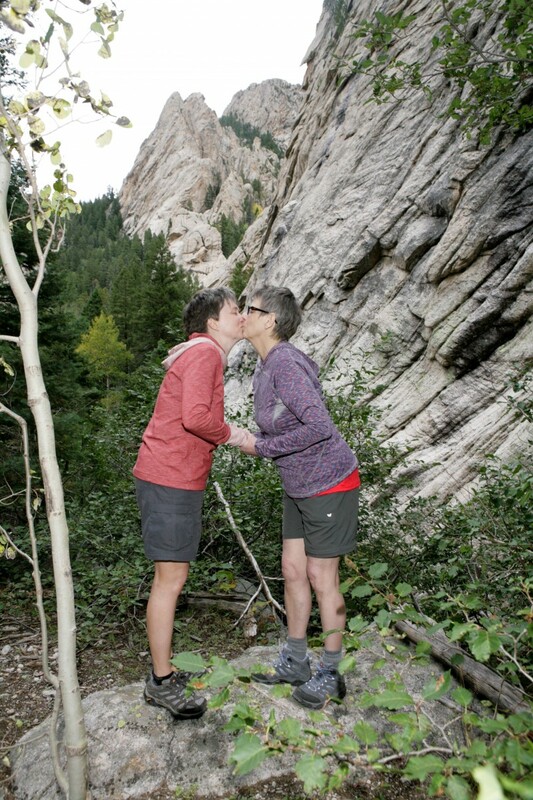 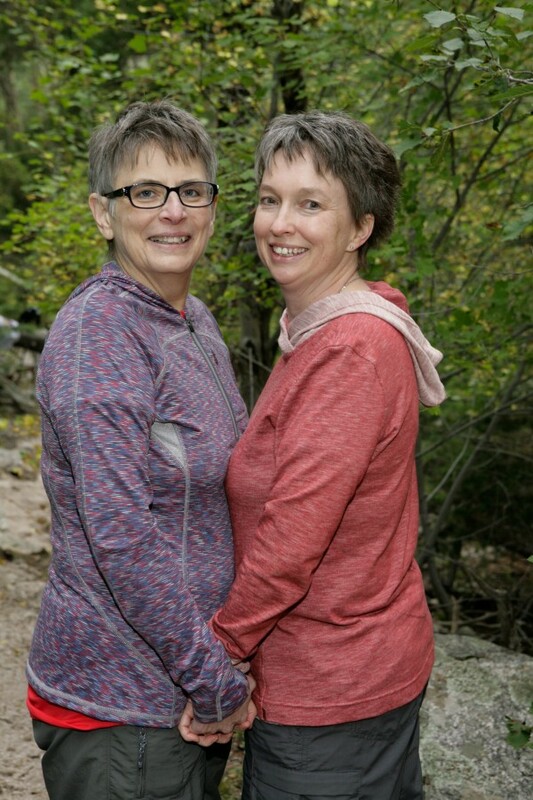 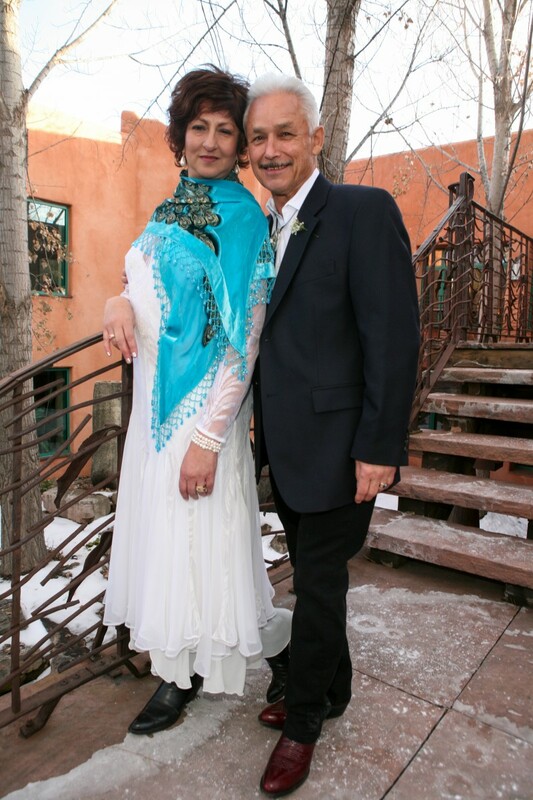 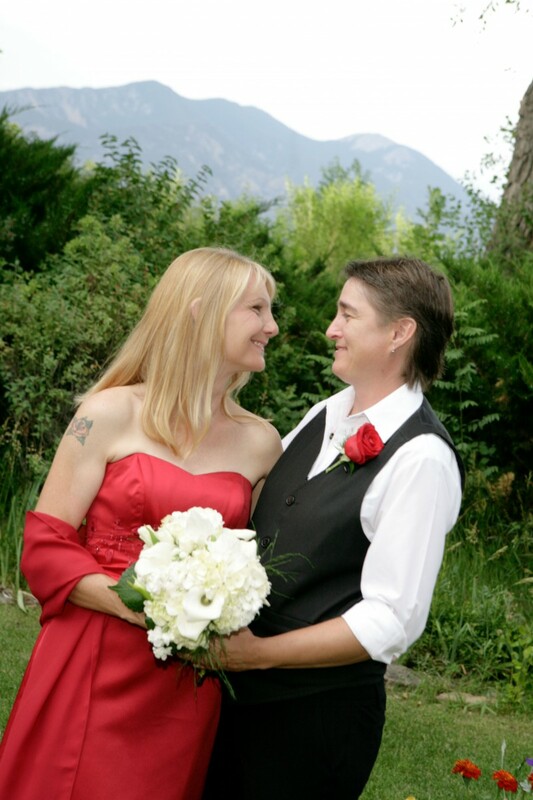 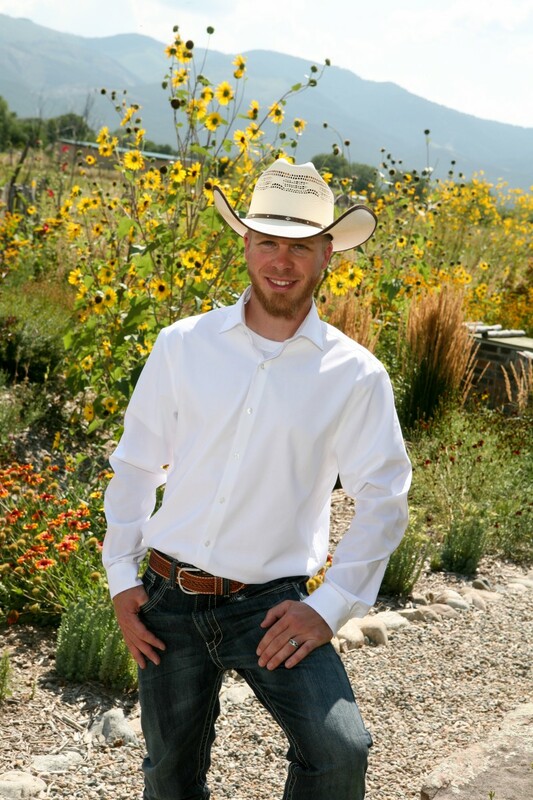 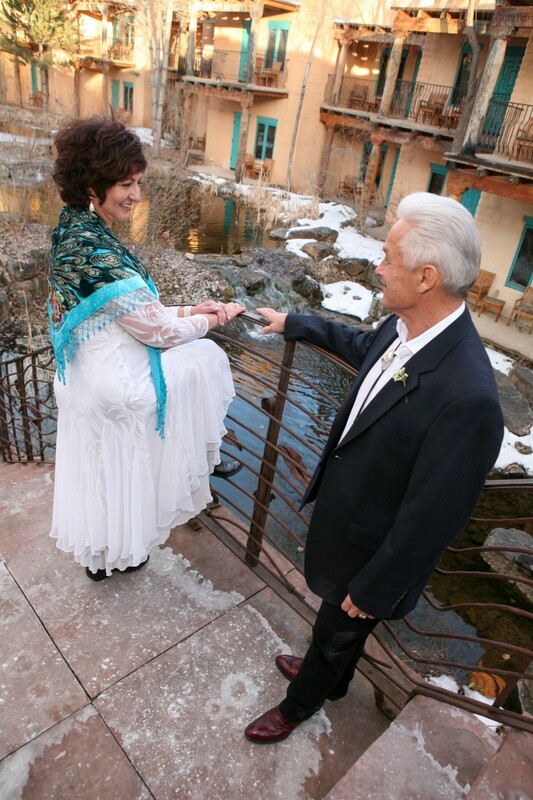 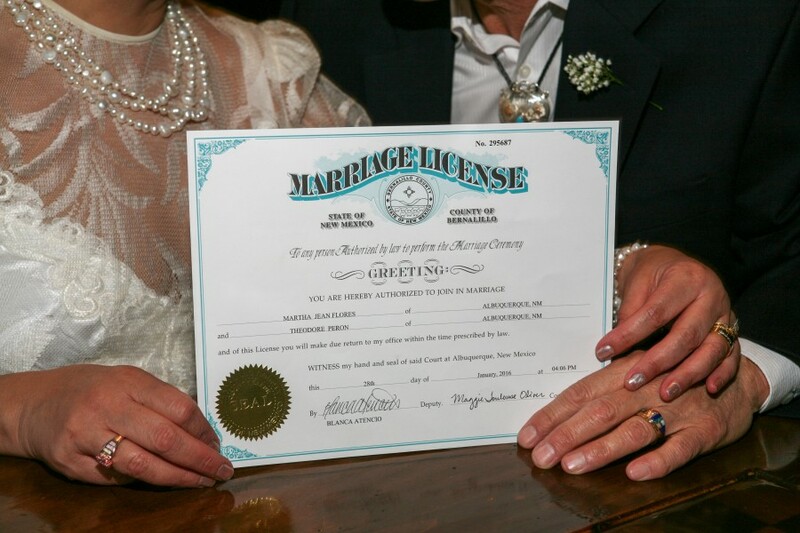 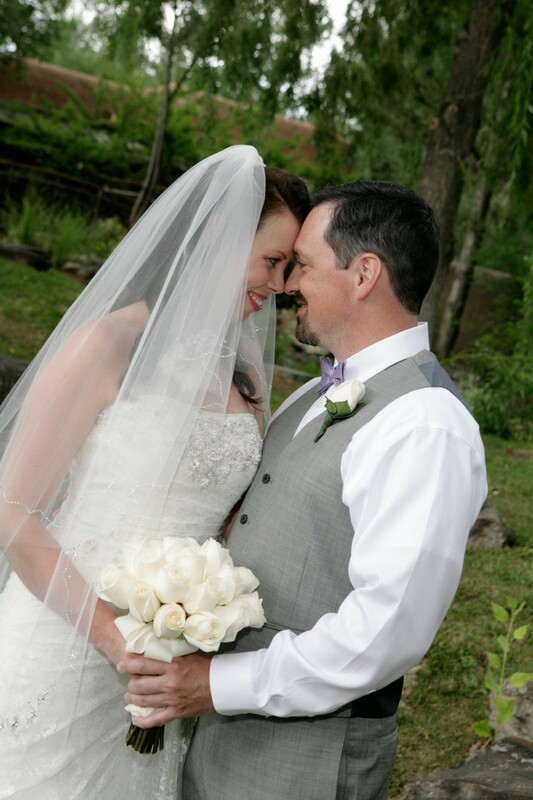 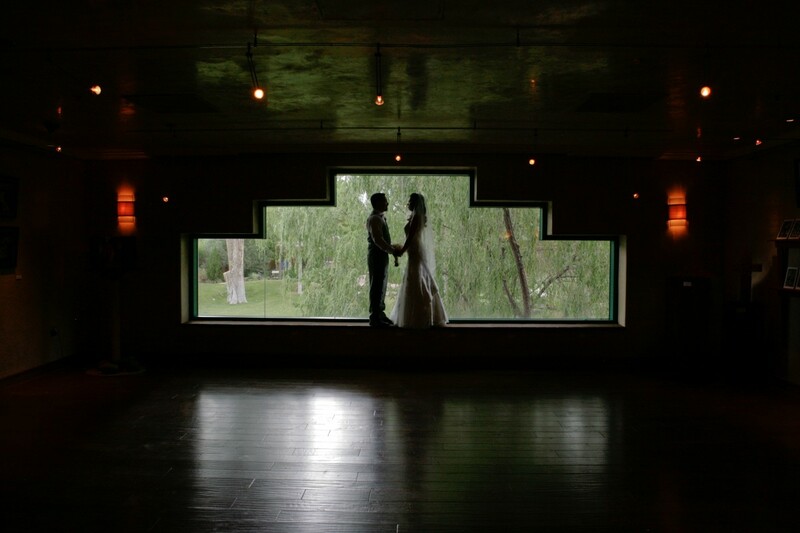 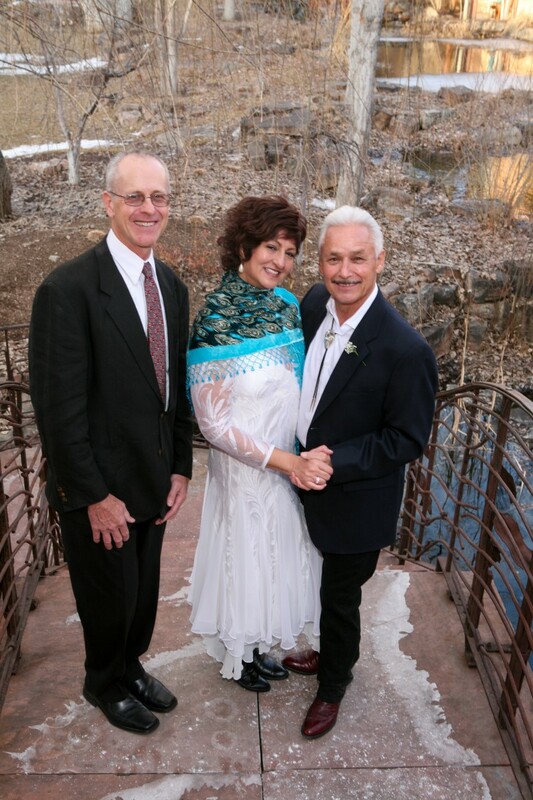 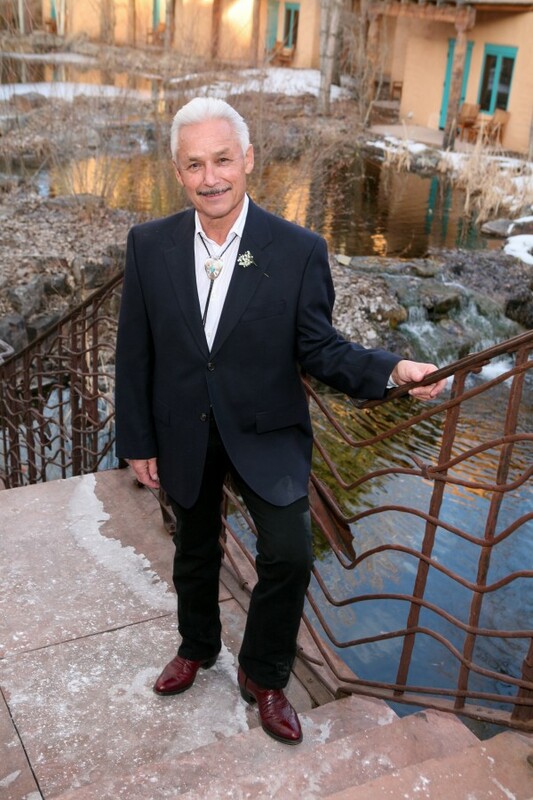 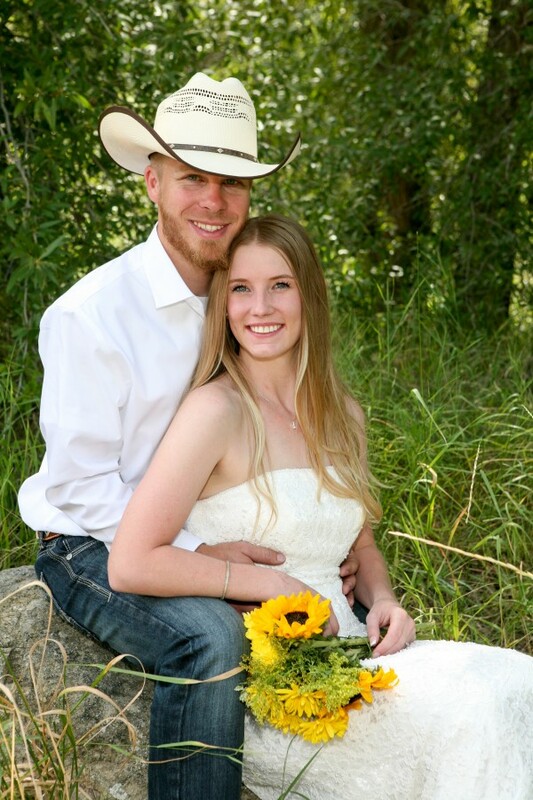 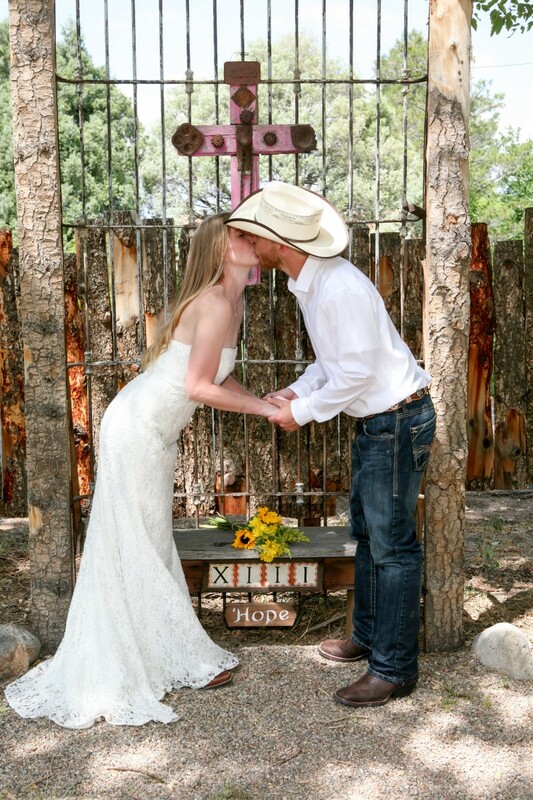 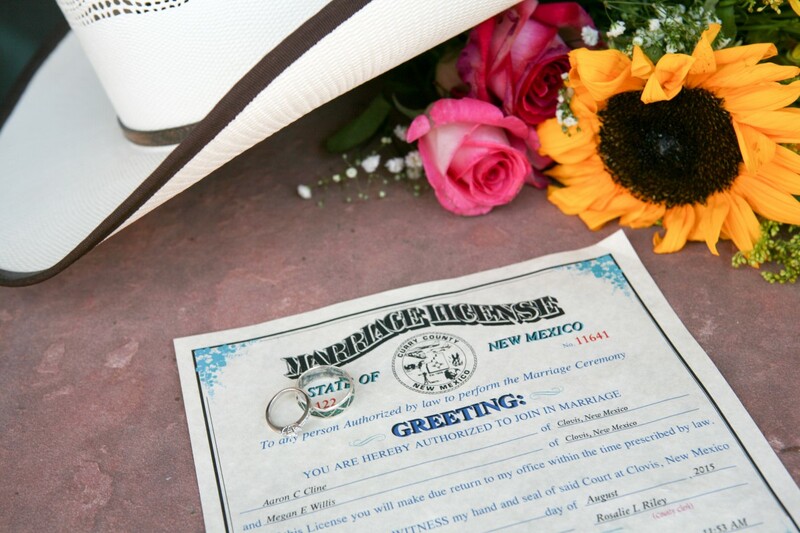 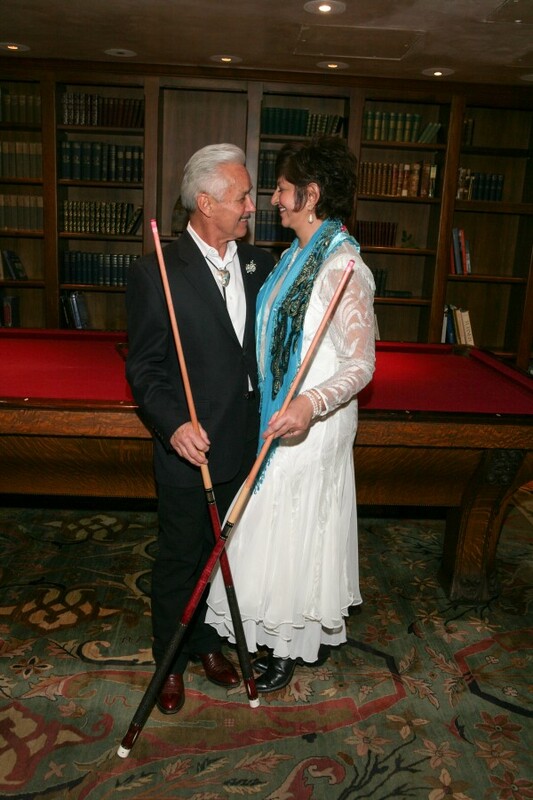 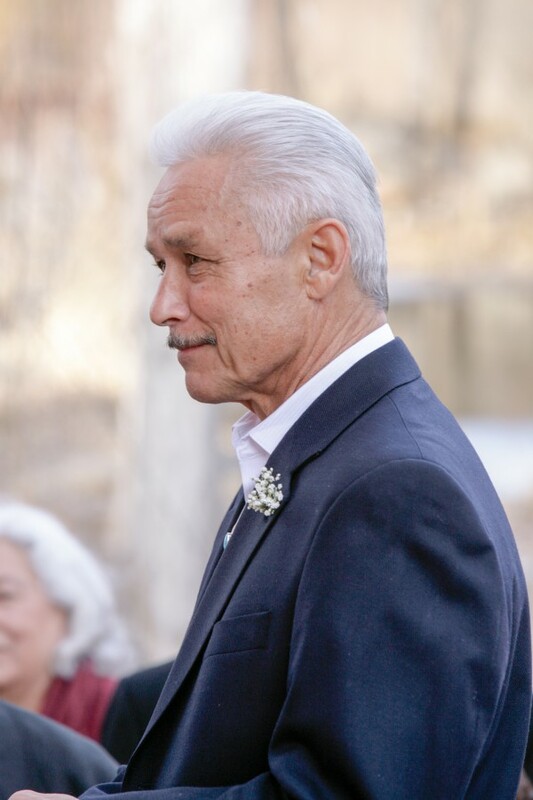 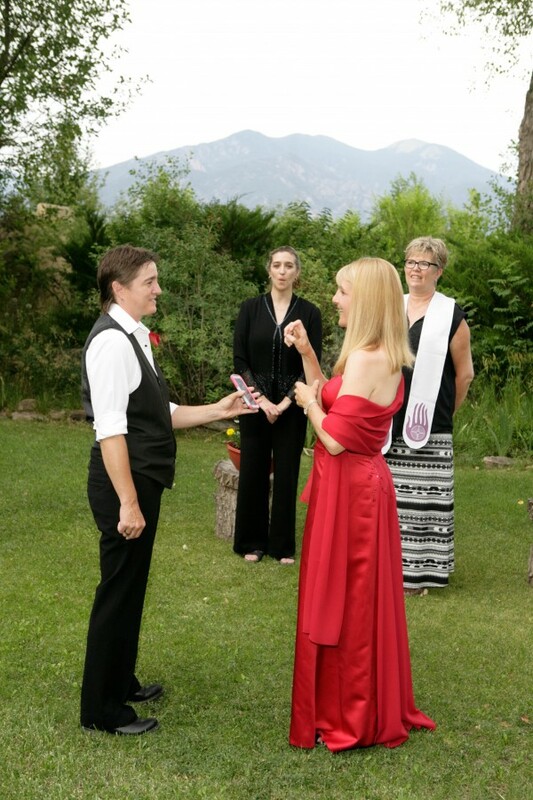 Dan Jones and I were thrilled to be chosen to officiate and photograph this Taos wedding. 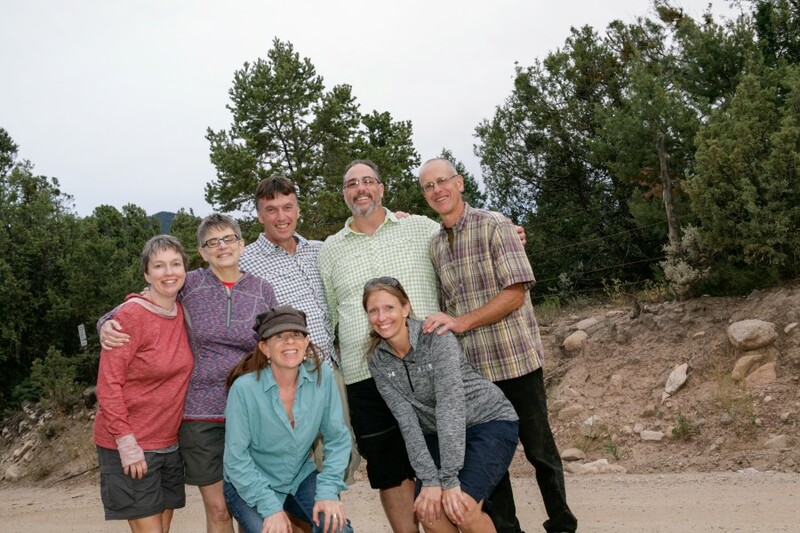 What a wonderful group of people, who had already know one another for 30 years! What a special wedding to document! 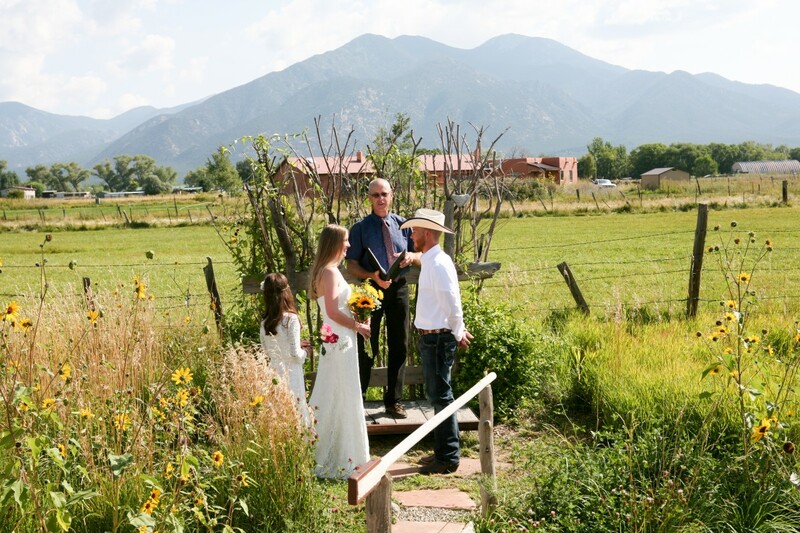 This was a destination wedding, a destination, double wedding. 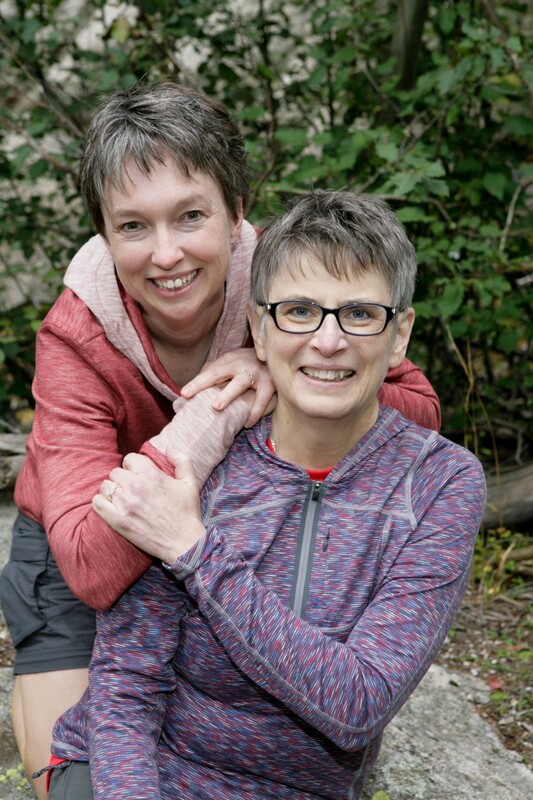 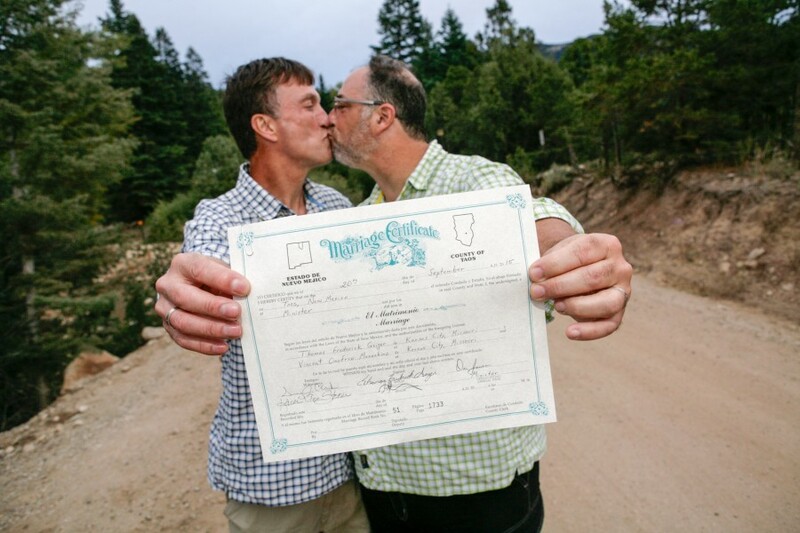 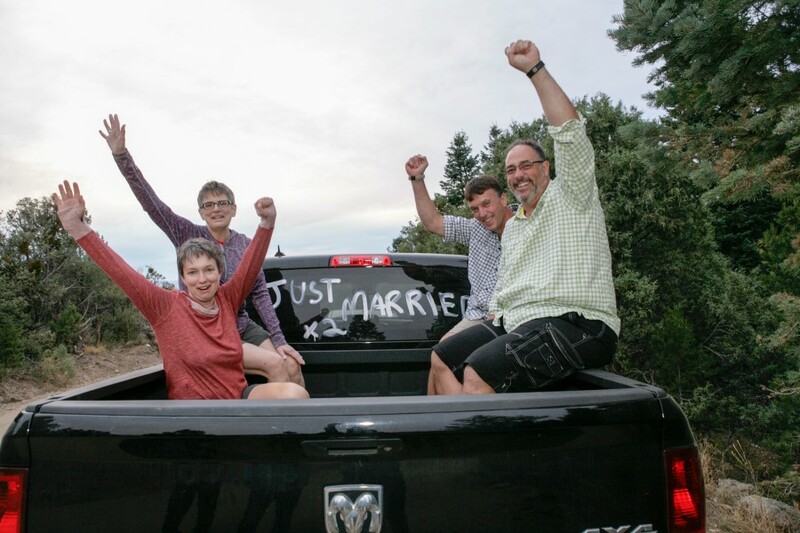 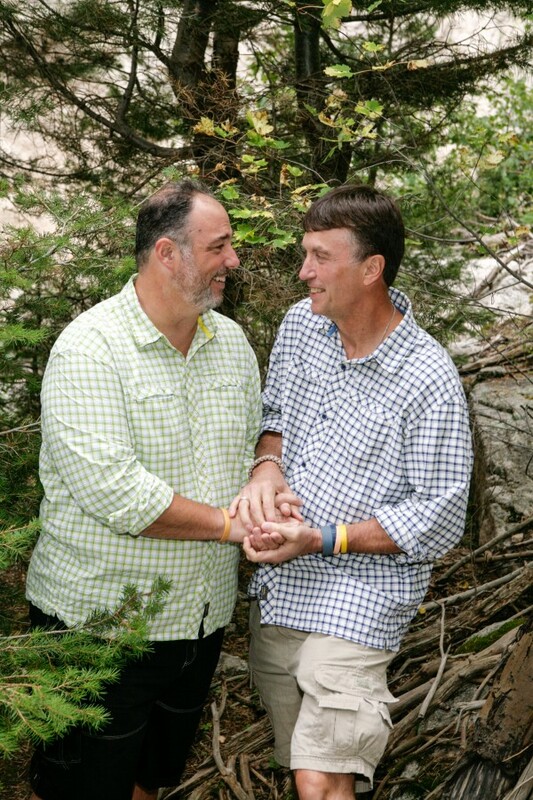 A destination, double, gay wedding. FUN!!! 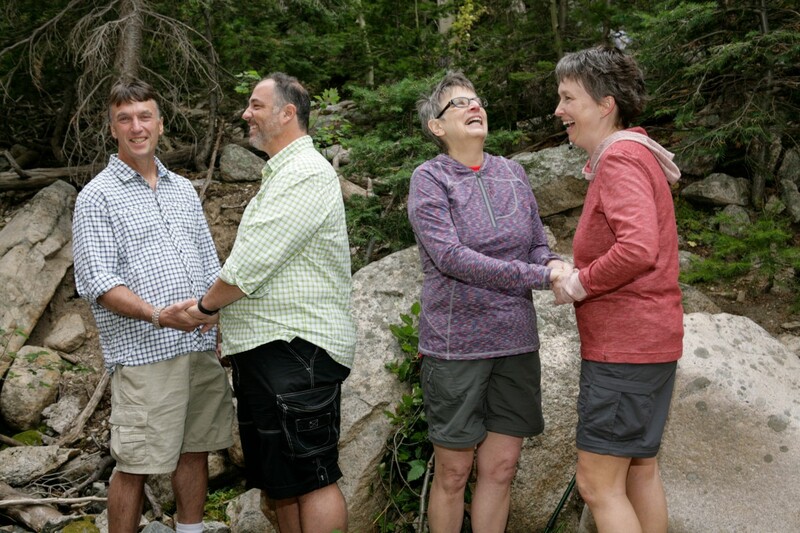 These couples were awesome and we all hit it off immediately! 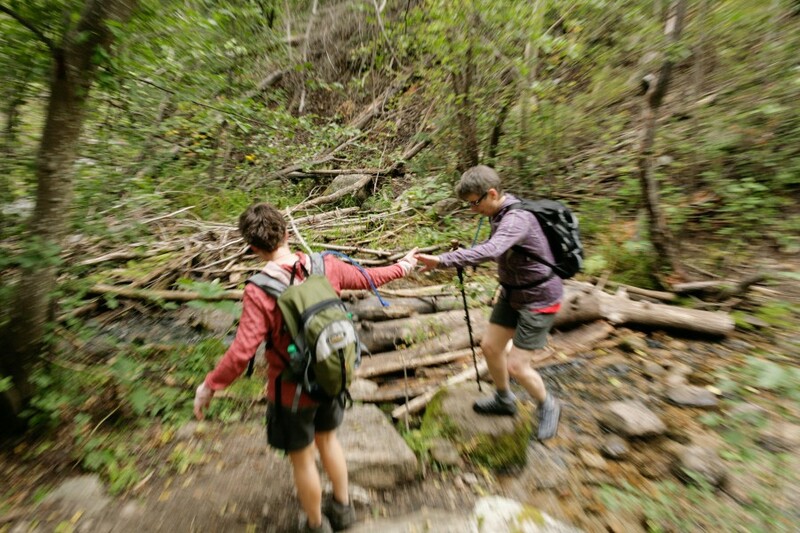 The two mile hike in El Salto was beautiful and we chatted the entire way. 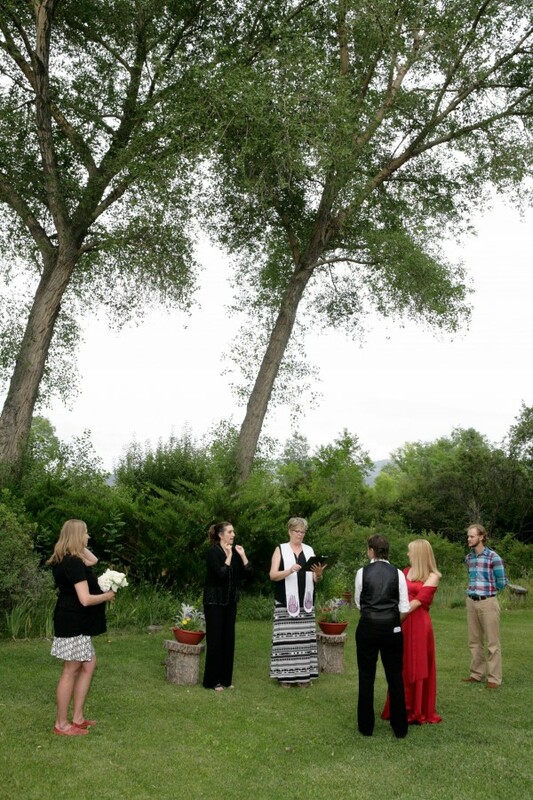 I wore the same shirt as the bride. 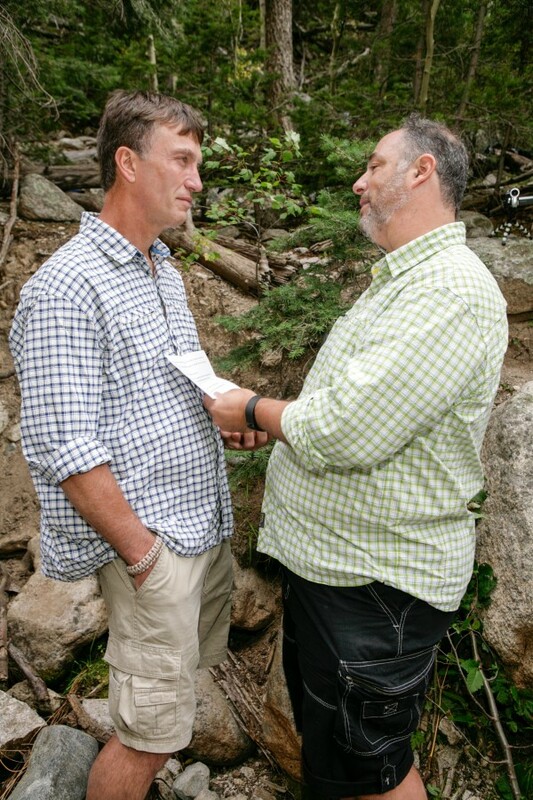 We both picked the same “casual” wear. 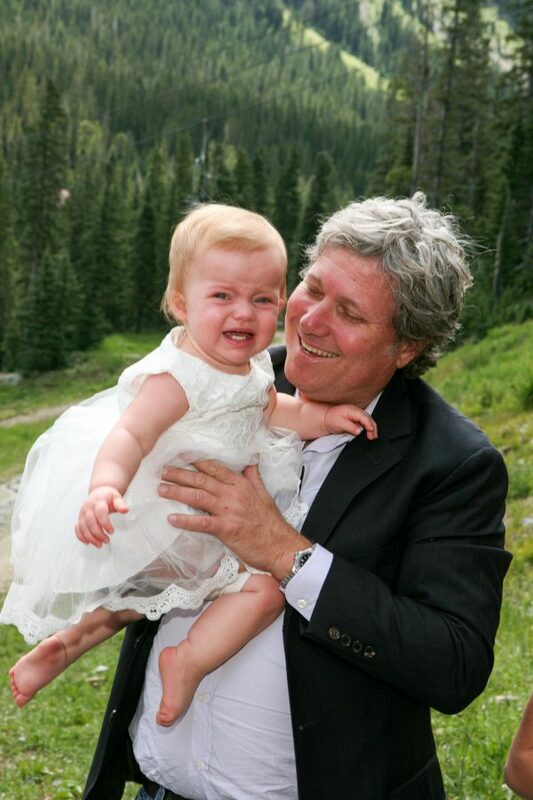 A true LOL moment that will probably never happen to me at a wedding again! 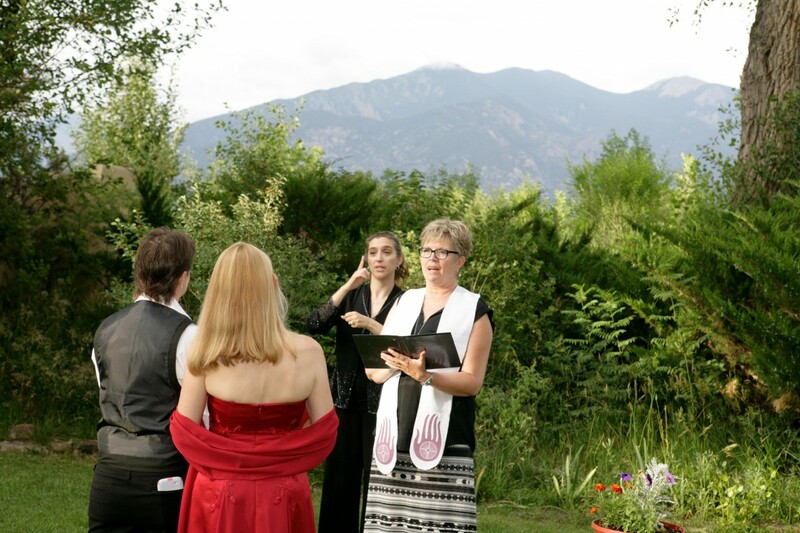 Every wedding is different. 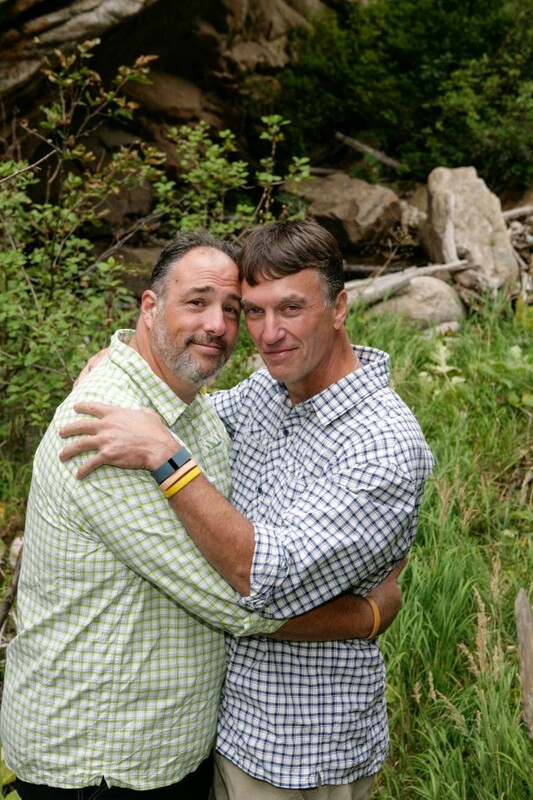 Sometimes VERY different. 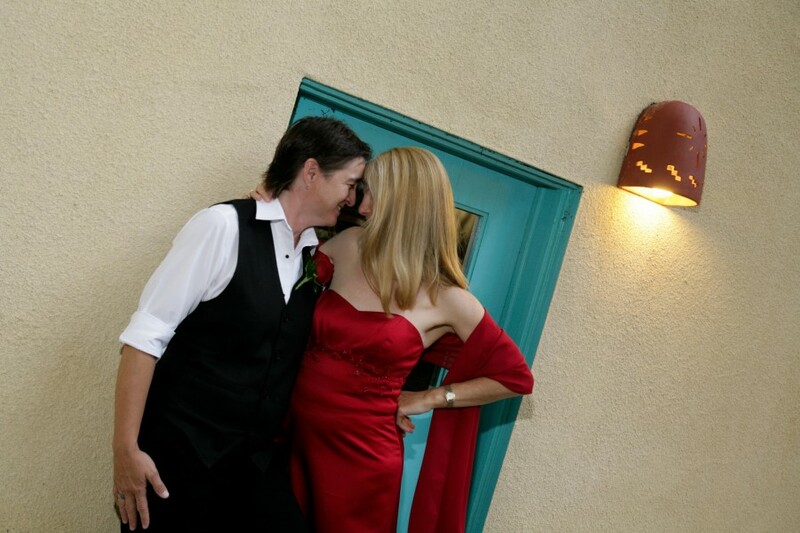 I had a blast at this wedding and I look forward to the next very different wedding too. The sunshine was gorgeous and hot at this 10am wedding ceremony in El Prado! 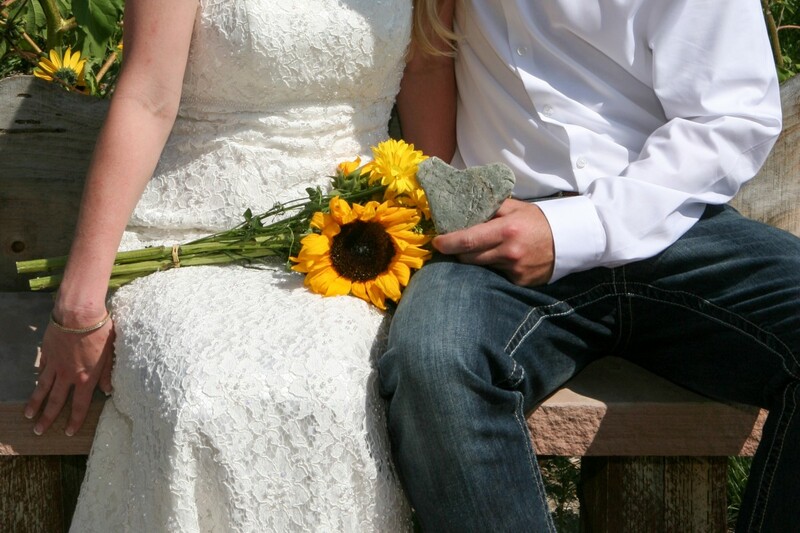 The sunflowers were in full bloom and the mountain was majestic. 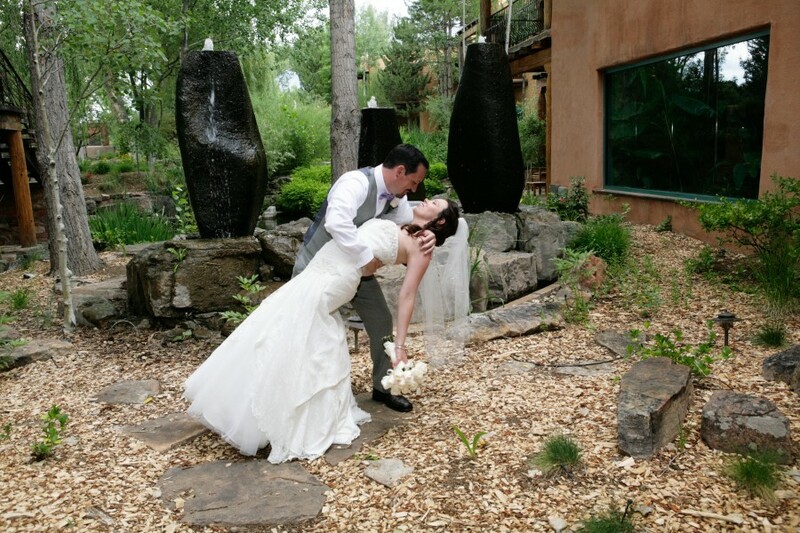 Popular wedding venue, SpiriTaos, was in all it’s glory with the end of the summer gardens in pristine condition. 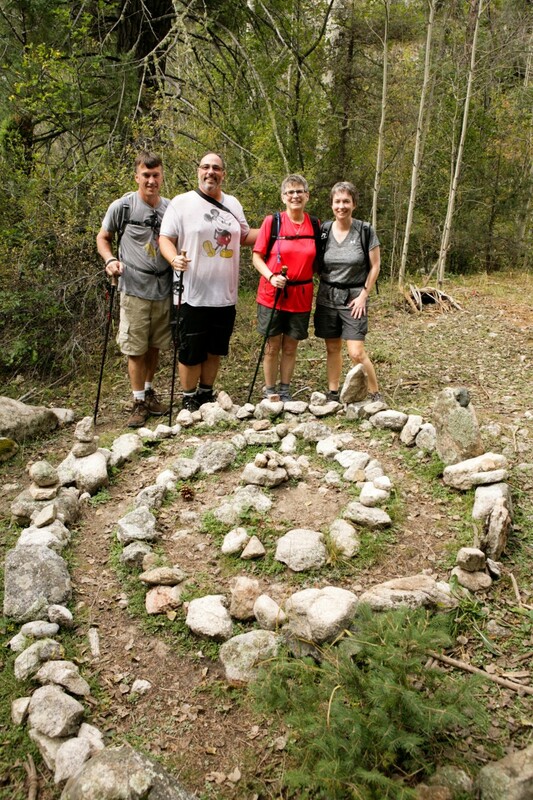 Megan, Aaron, and I went to Carson National Forest to finish out our photography time, with a quick visit to the labyrinth at San Geronimo on the way. 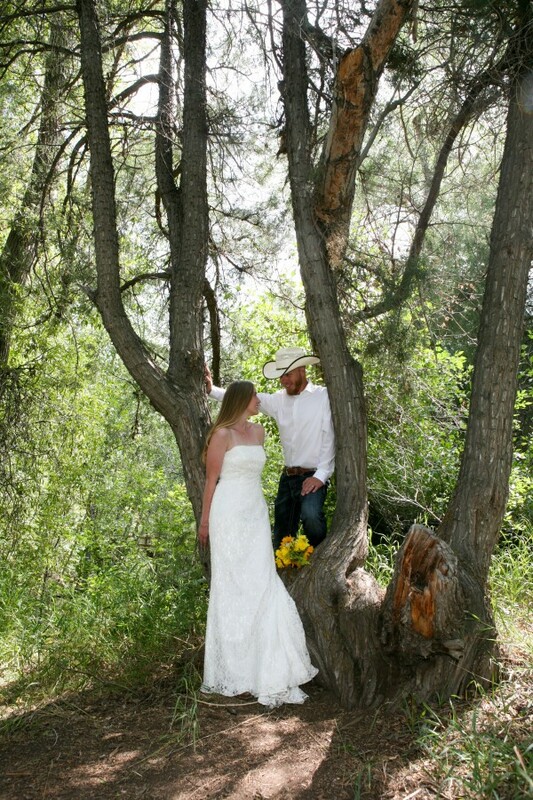 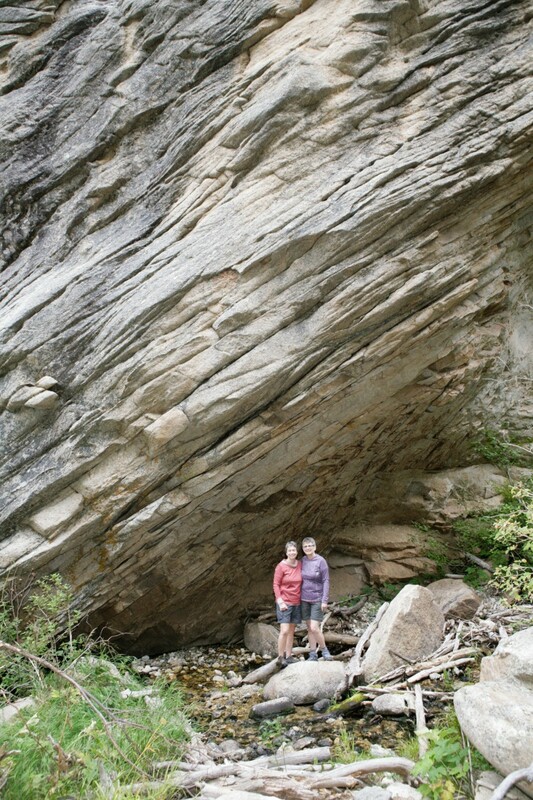 The shade was cool and inviting and this beautiful couple just fell into pose without any help from me. 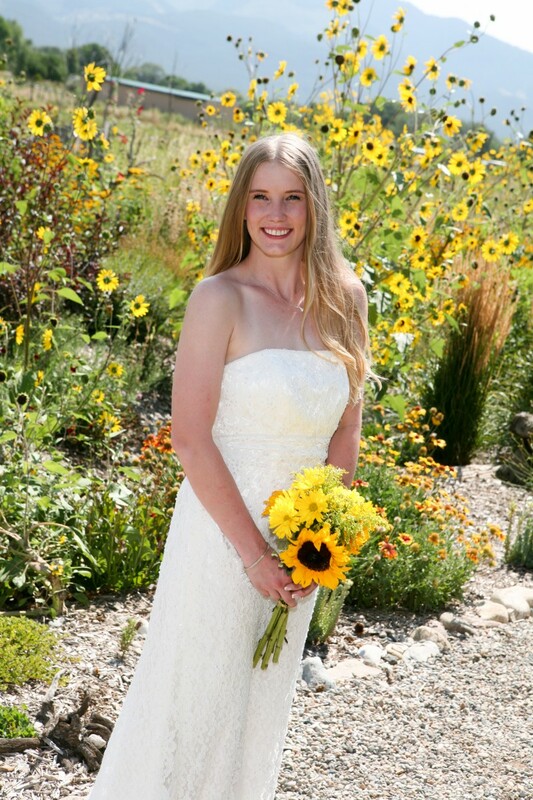 It was such a great pleasure to photograph these brides, whom are hearing impaired! 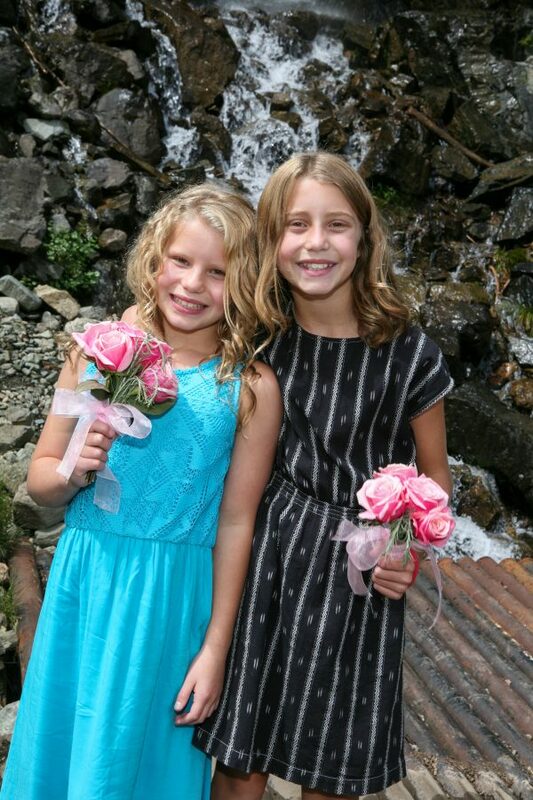 These gals were so amazing to watch during the wedding ceremony. The emotion that they exhibited in their signing was beautiful. 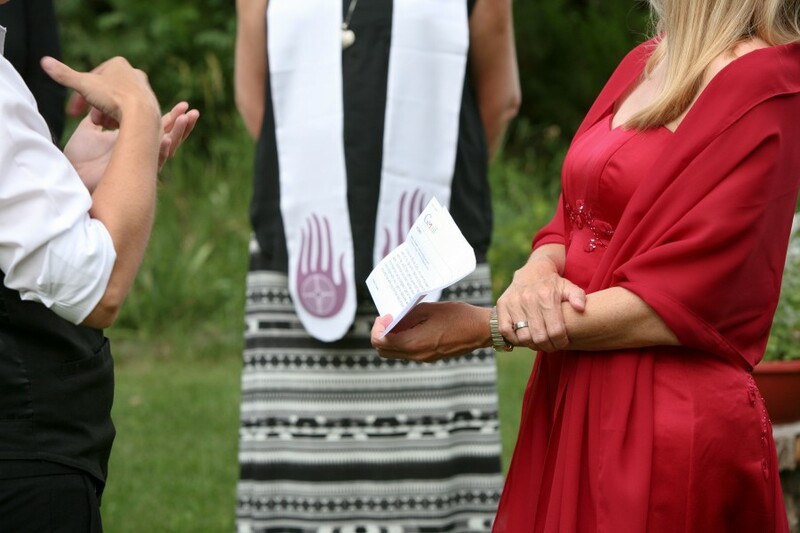 The vows were interpreted so everyone knew what these women were signing; as so these women knew what the minister was speaking. 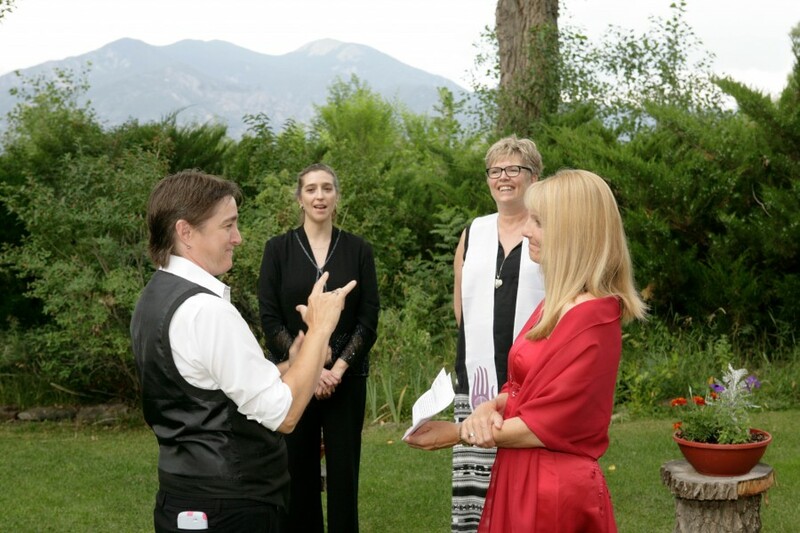 I loved how these ladies held one another’s vows when it was time to “recite” them, how they were so connected through their eyes. 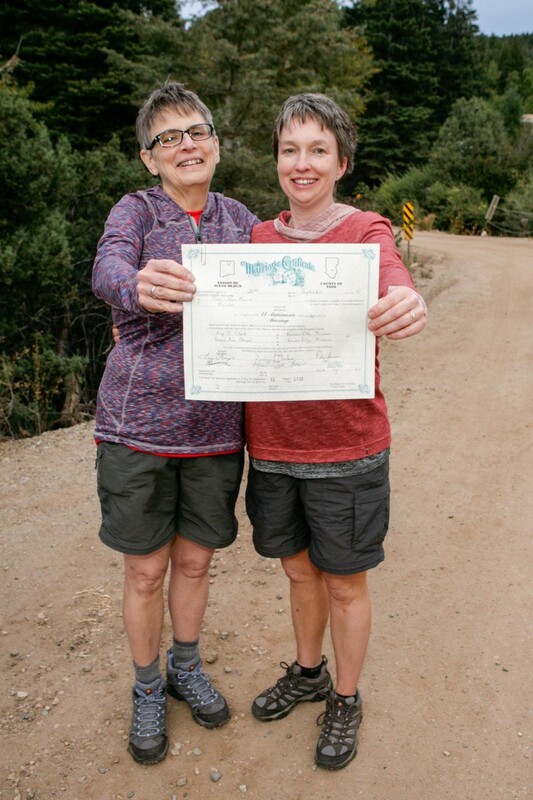 Congratulations to these lovely gals! 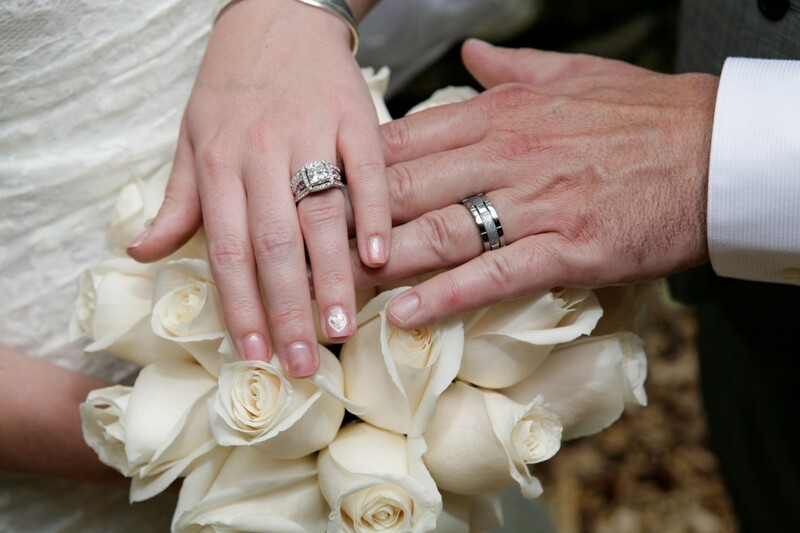 I am excited to photograph another hearing impaired wedding!